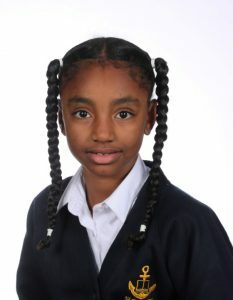 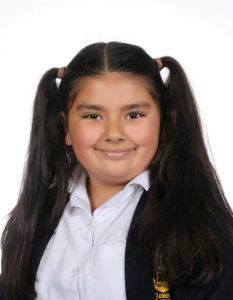 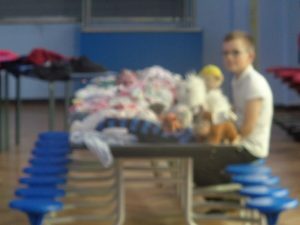 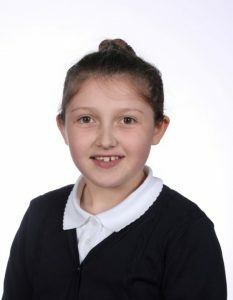 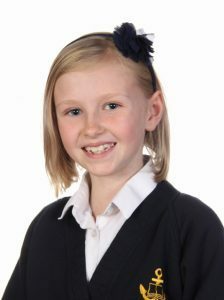 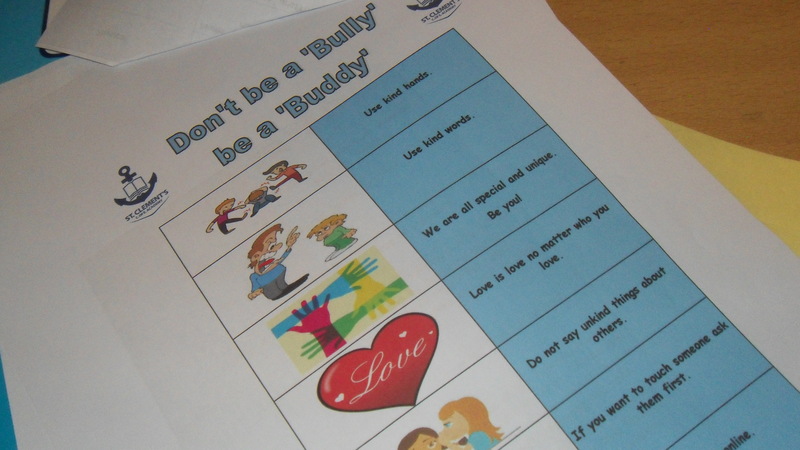 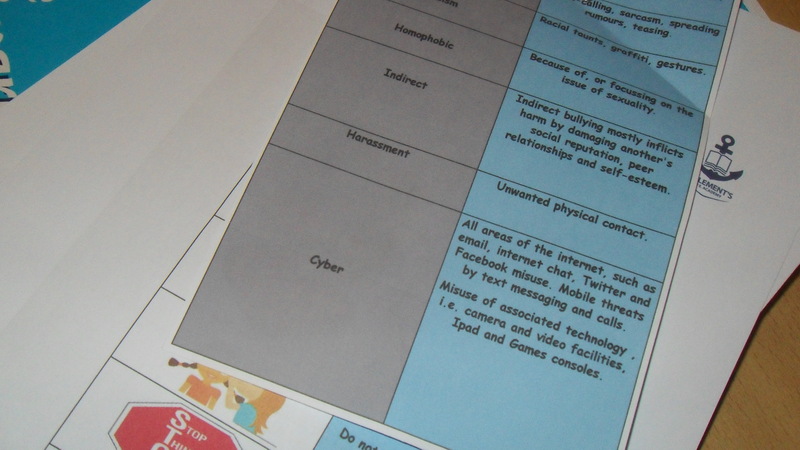 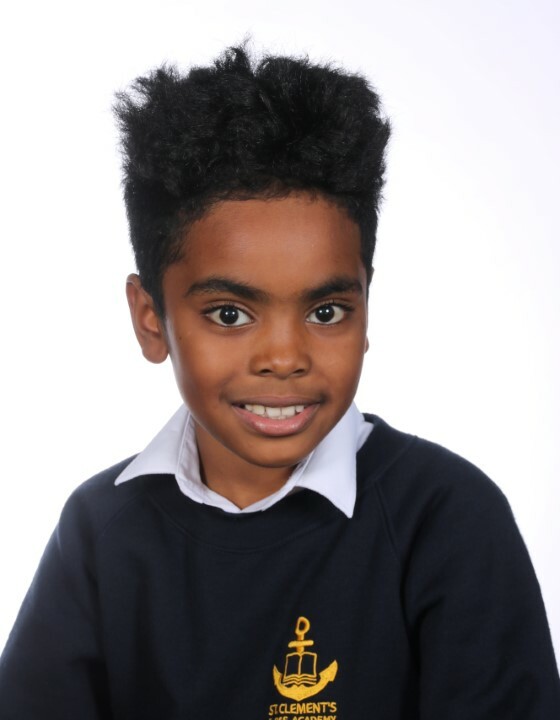 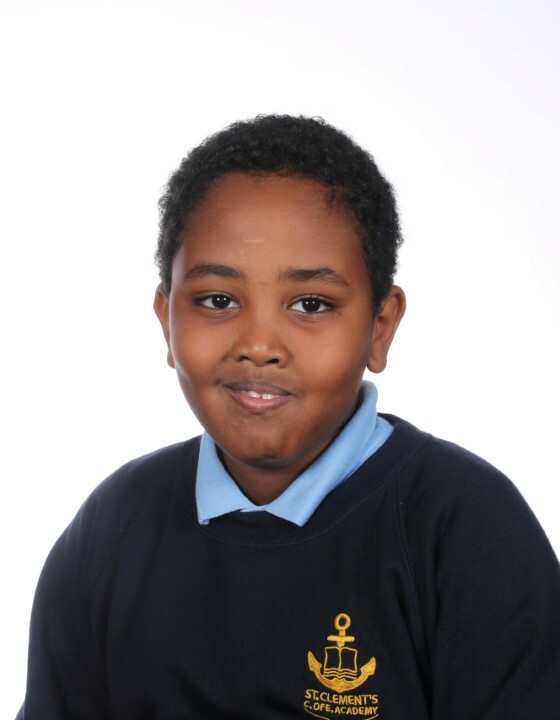 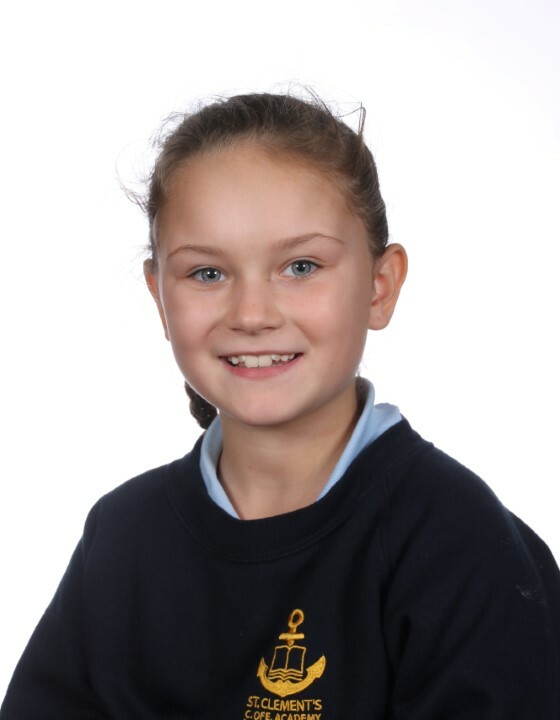 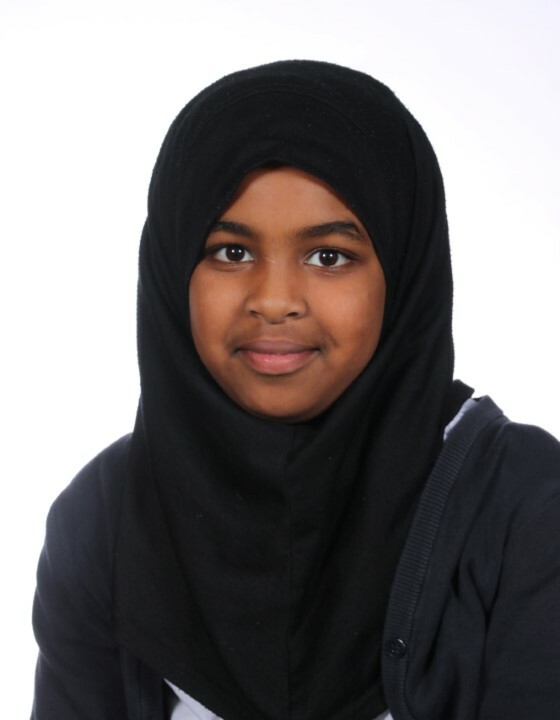 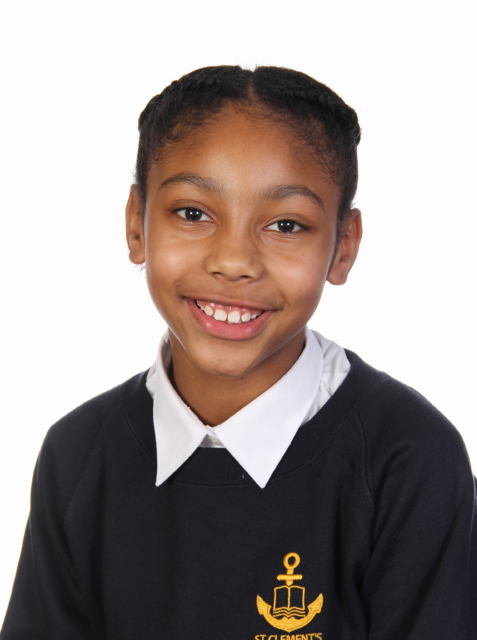 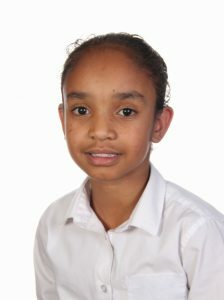 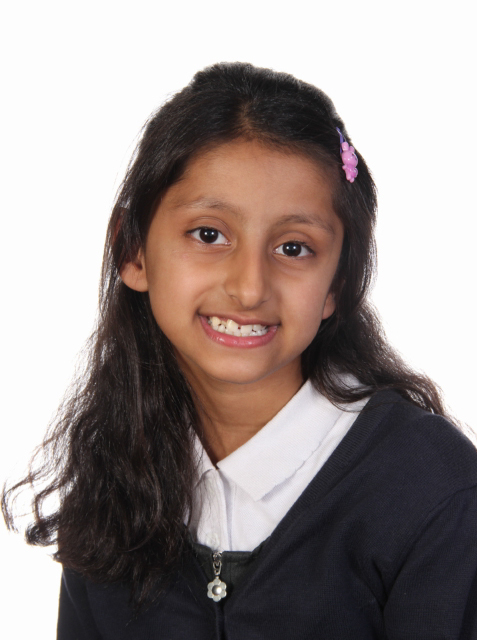 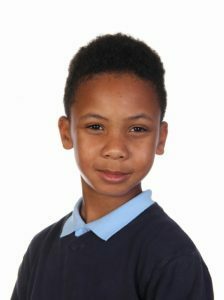 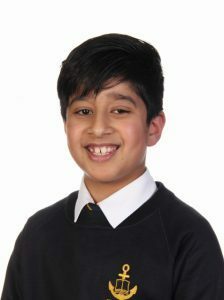 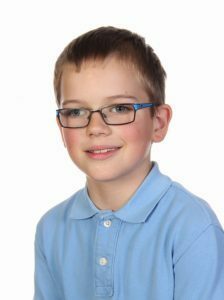 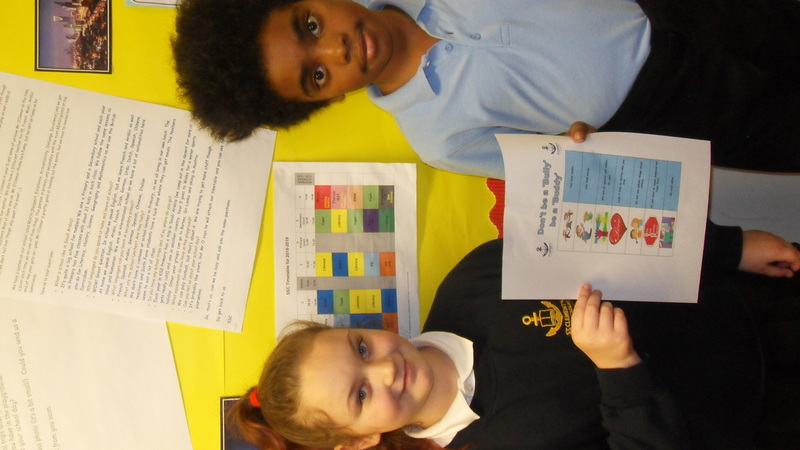 The School Council and Year 6 Pupils have created a ‘child speak’ Anti-Bullying Policy. 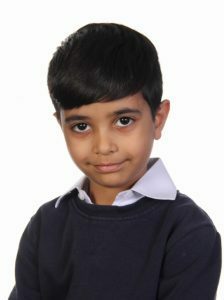 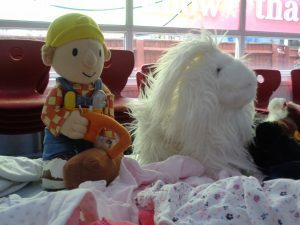 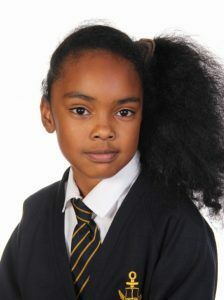 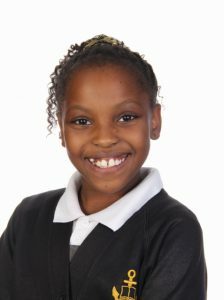 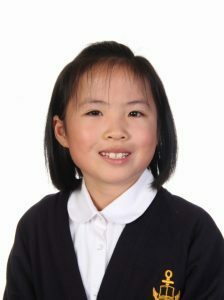 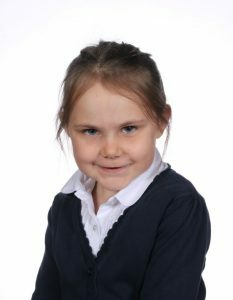 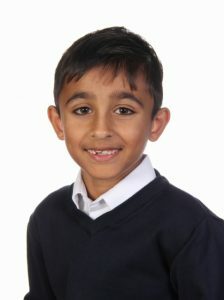 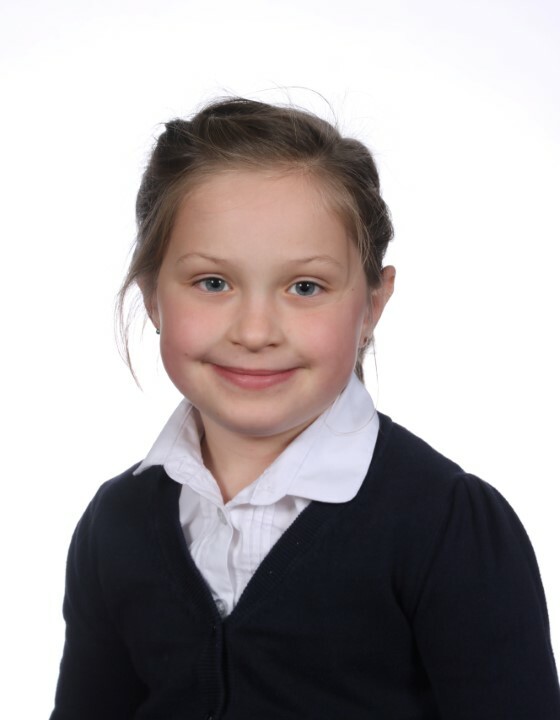 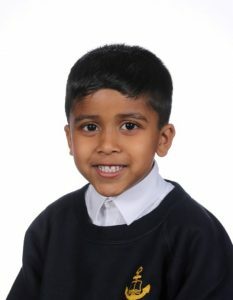 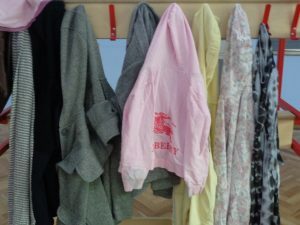 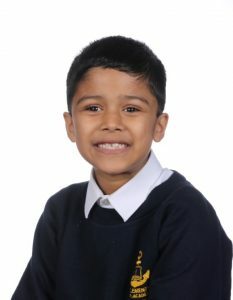 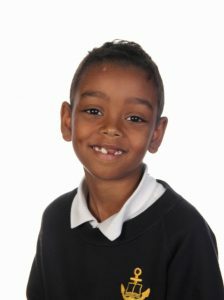 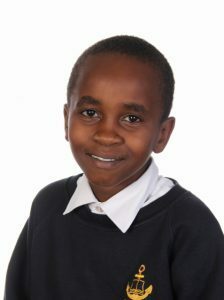 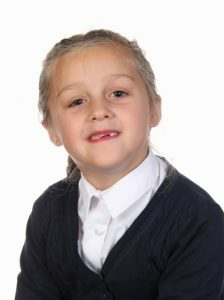 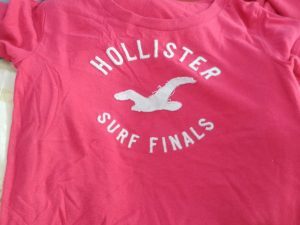 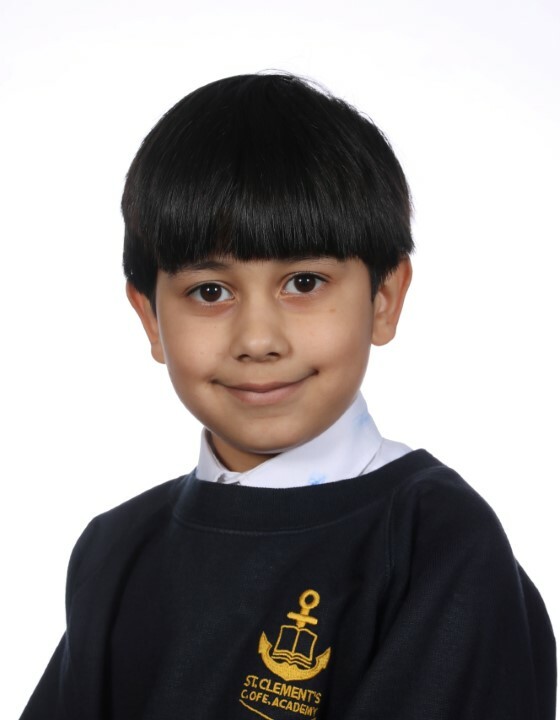 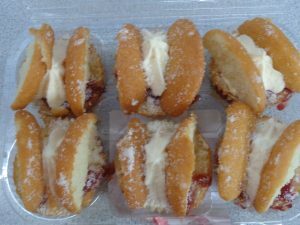 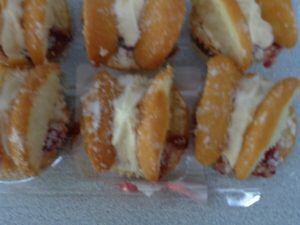 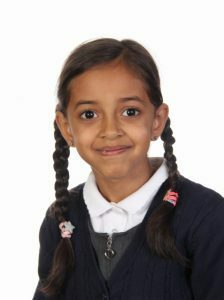 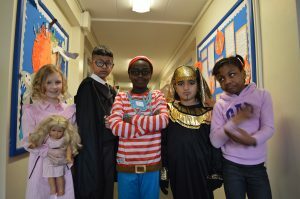 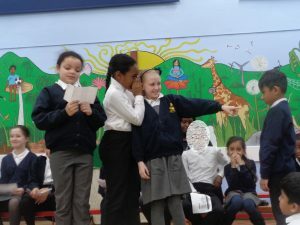 The policy is currently being checked and agreed by the Academy Governors, but will soon be available to all children. 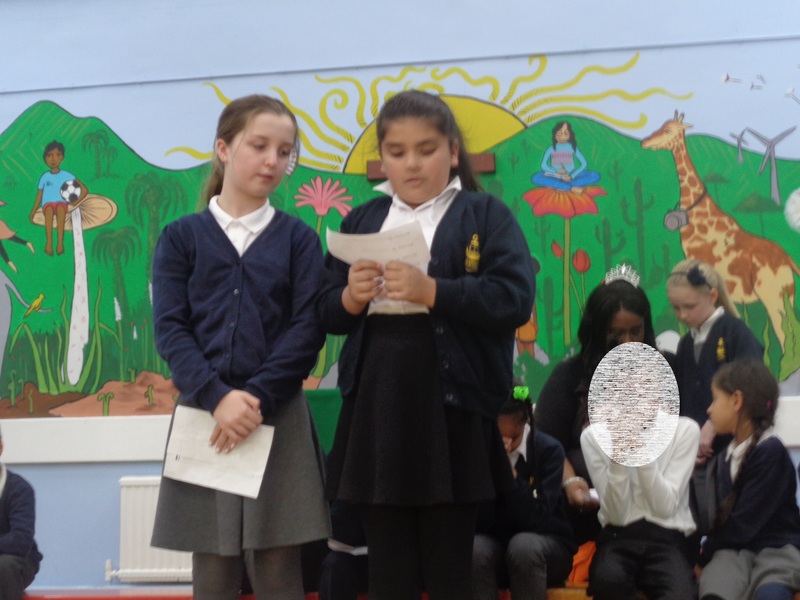 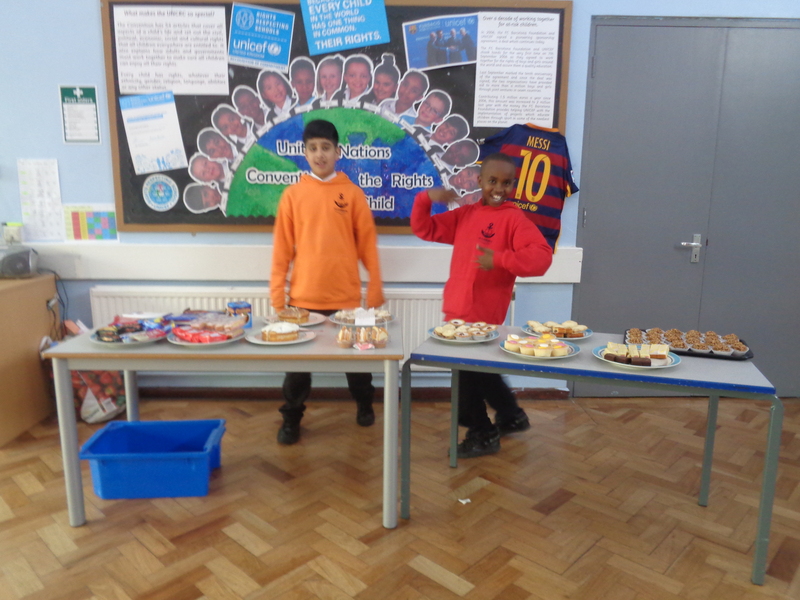 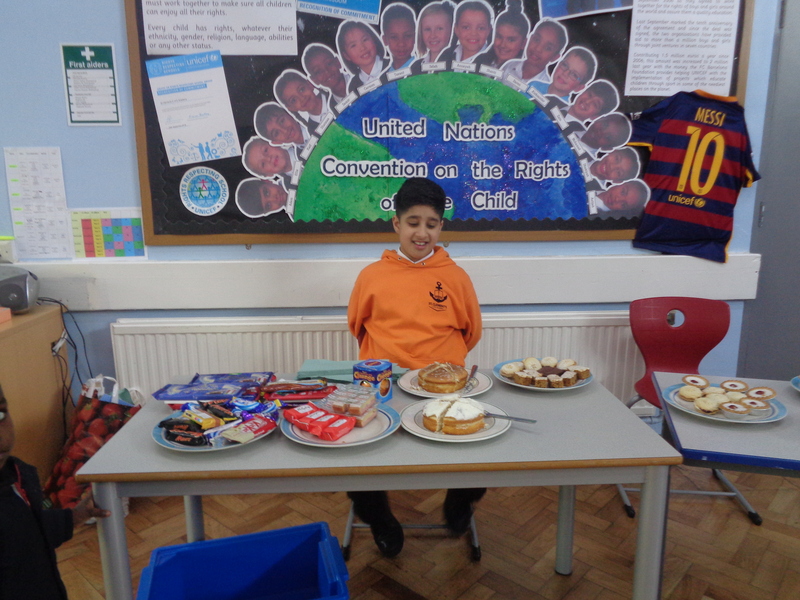 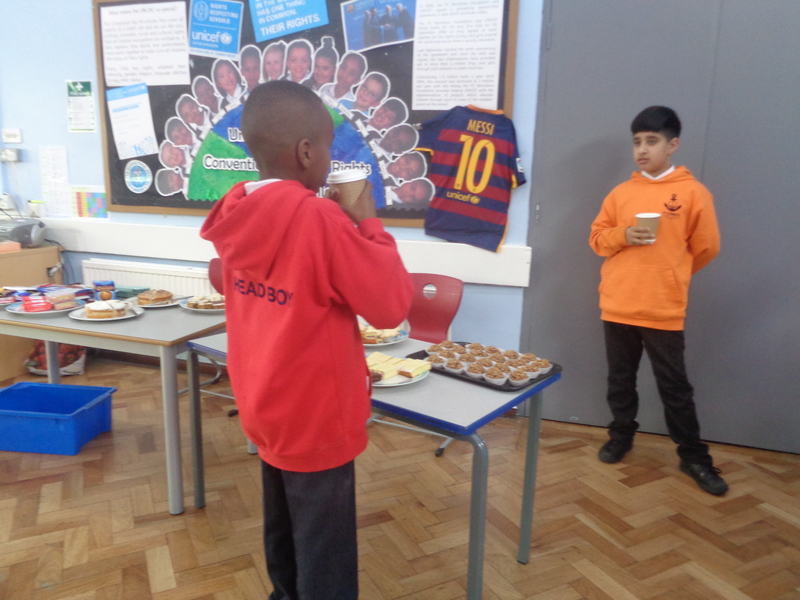 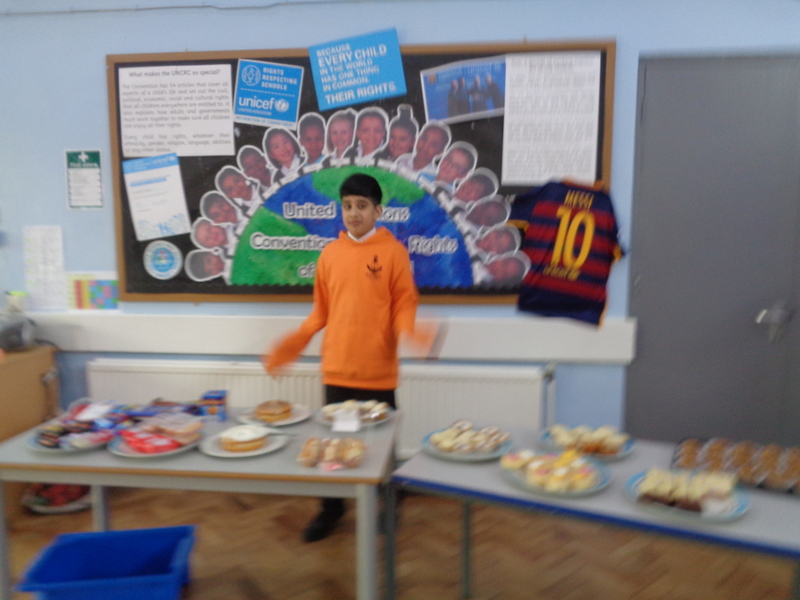 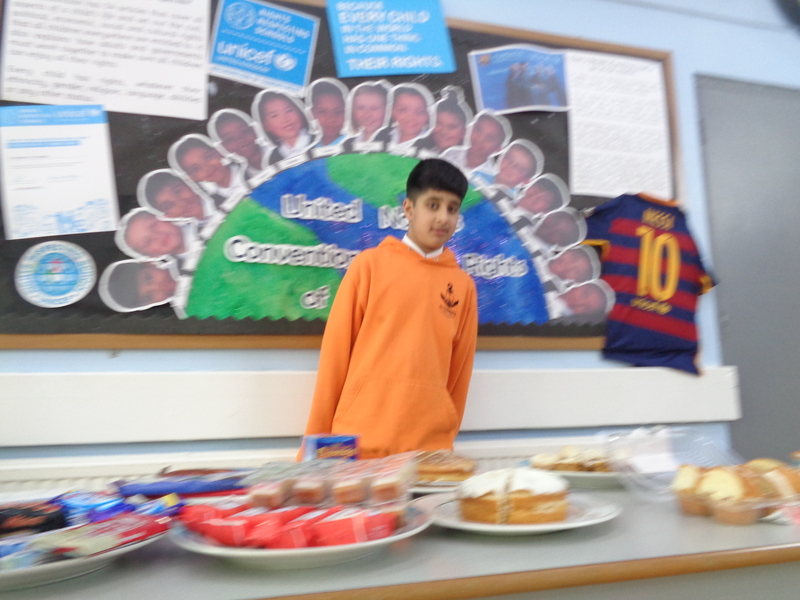 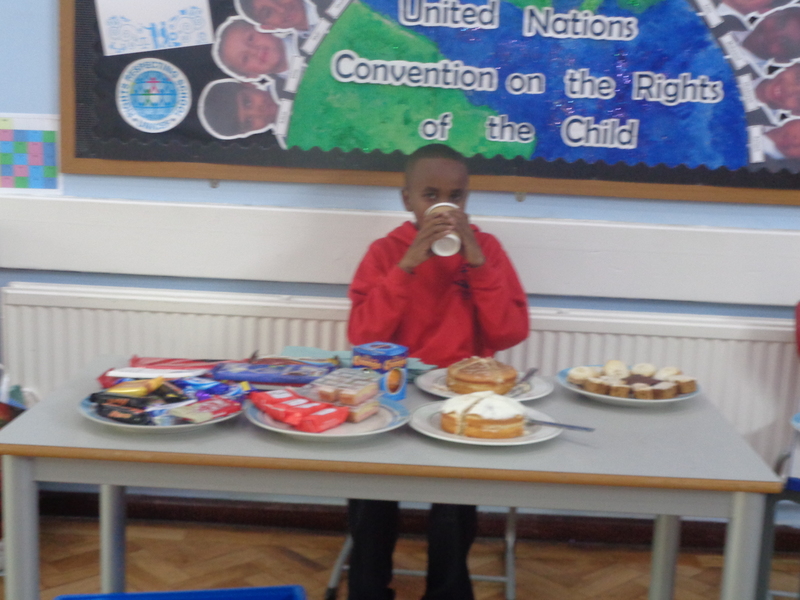 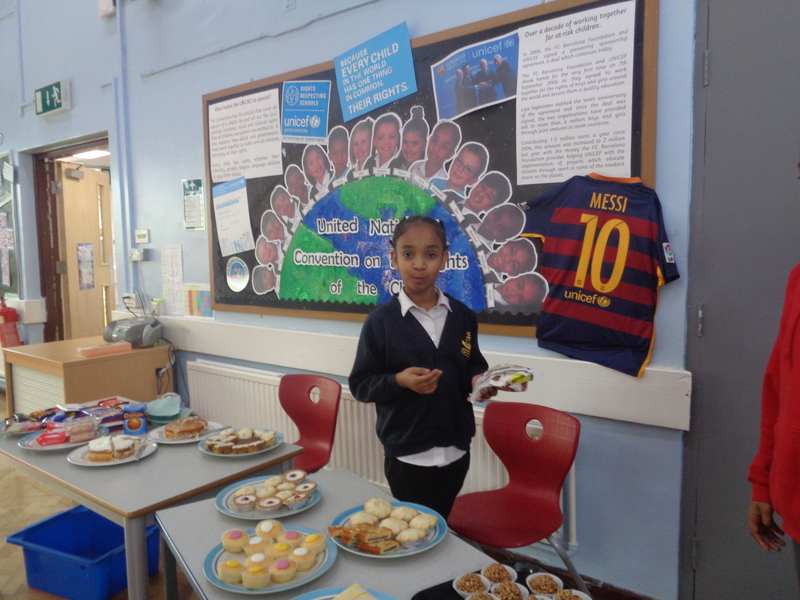 The children have voted and this years Pupil Council and UNICEF representatives have been chosen. 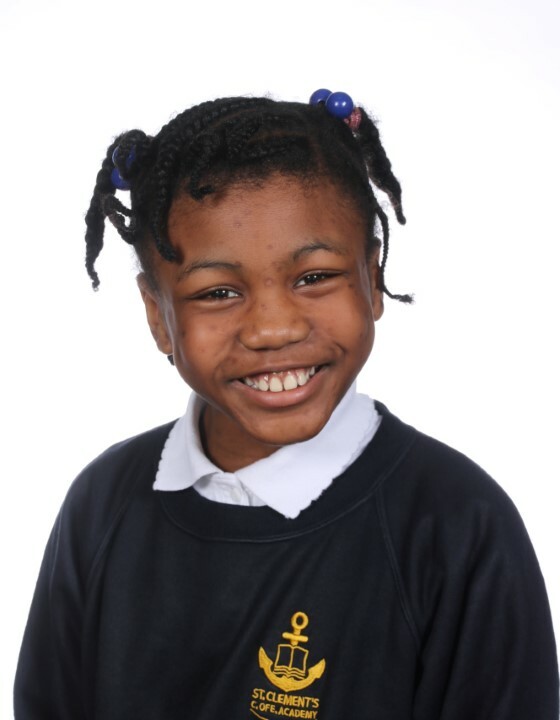 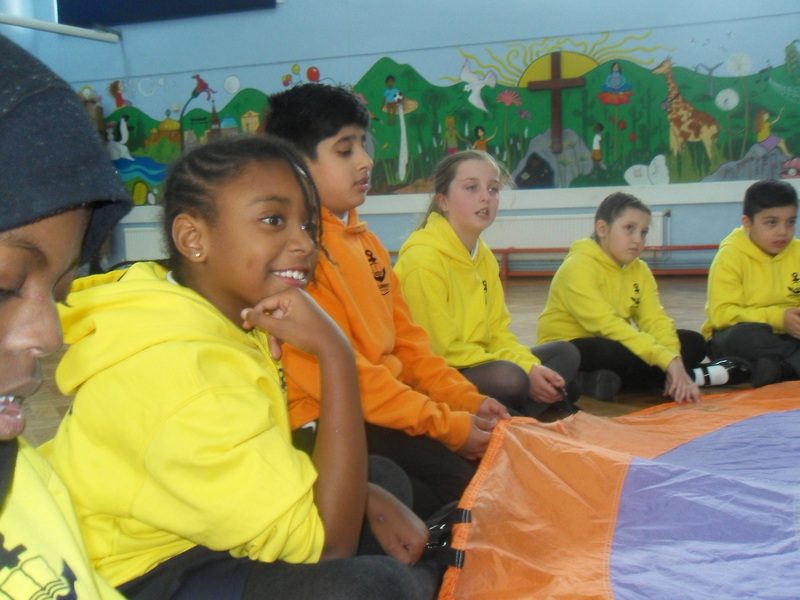 Together they will be called ‘Children Champions’ and will carry out a range of tasks. 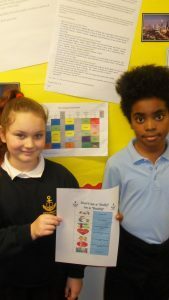 Firstly, they will be looking at changing the academy’s house point system and designing and calculating cost for a KS2 outdoor classroom. 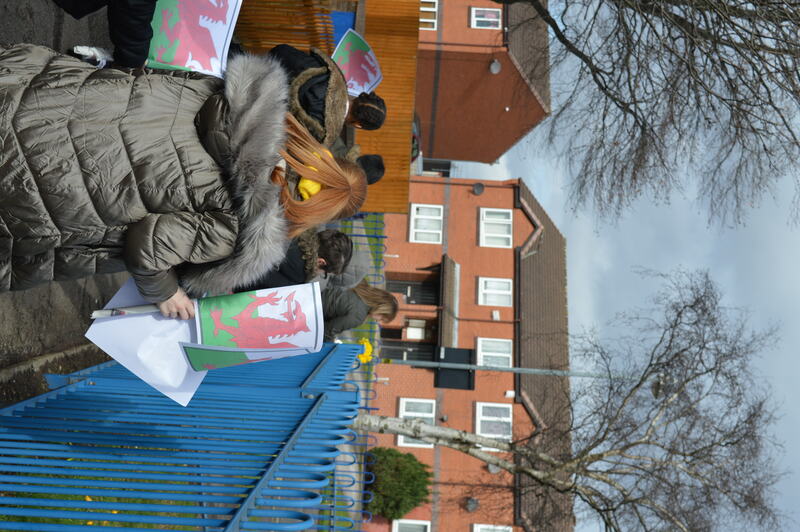 Whilst carrying out these jobs the Champions will also be collecting pupil voice and making sure the views of the students of St. Clements Academy are heard. 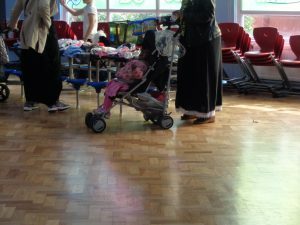 or the child’s day-to-day home life.  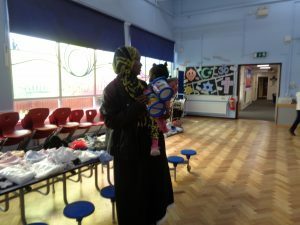 Article 5: Governments should respect the rights and responsibilities of families to direct and guide their children so that, as they grow, they learn to use their rights properly. 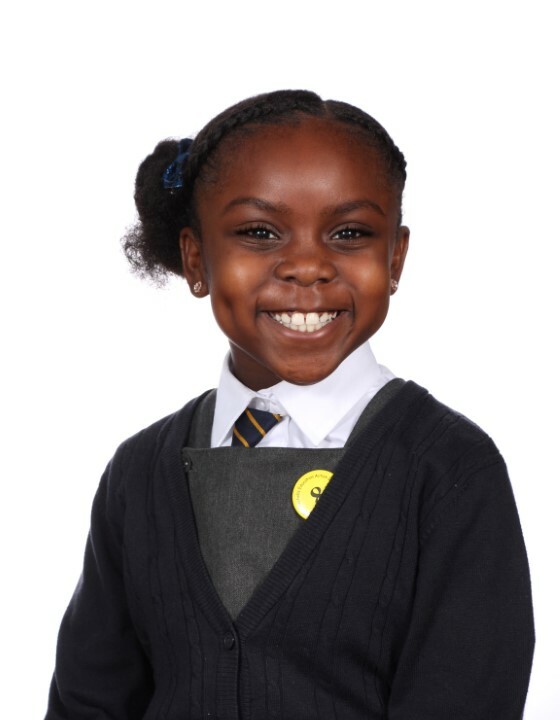 children have the right to say what they think should happen and have their opinions taken into account. have the responsibility to also respect the rights, freedoms and reputations of others. what they want and to practice their religion, as long as they are not stopping other people from enjoying their rights. 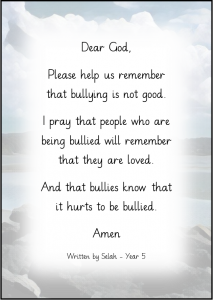 Parents should help guide their children in these matters. 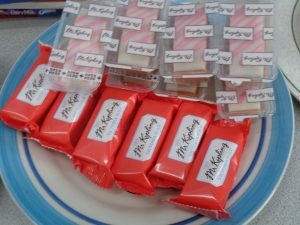 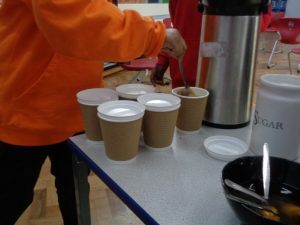 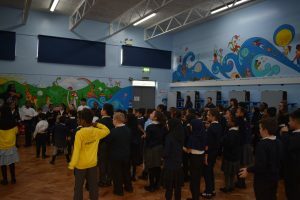 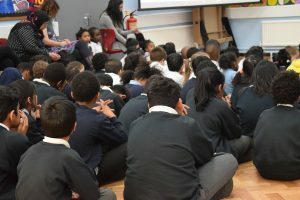 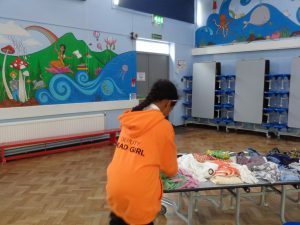 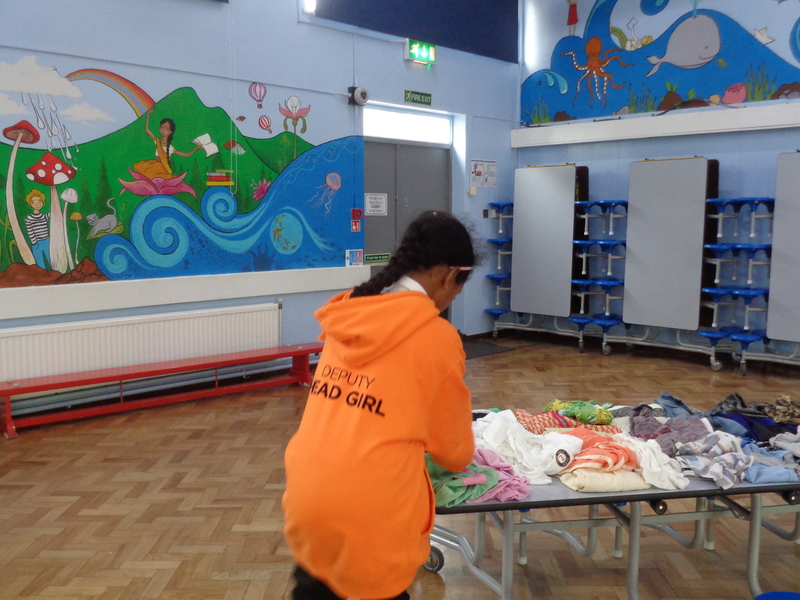 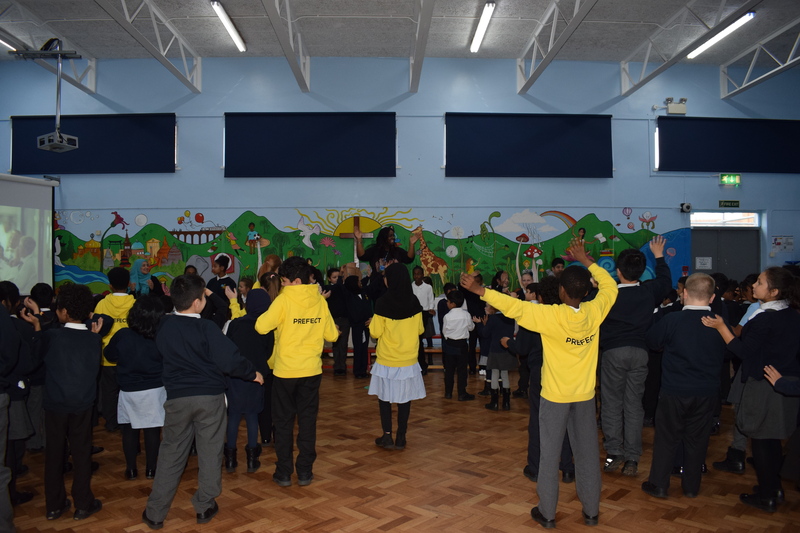 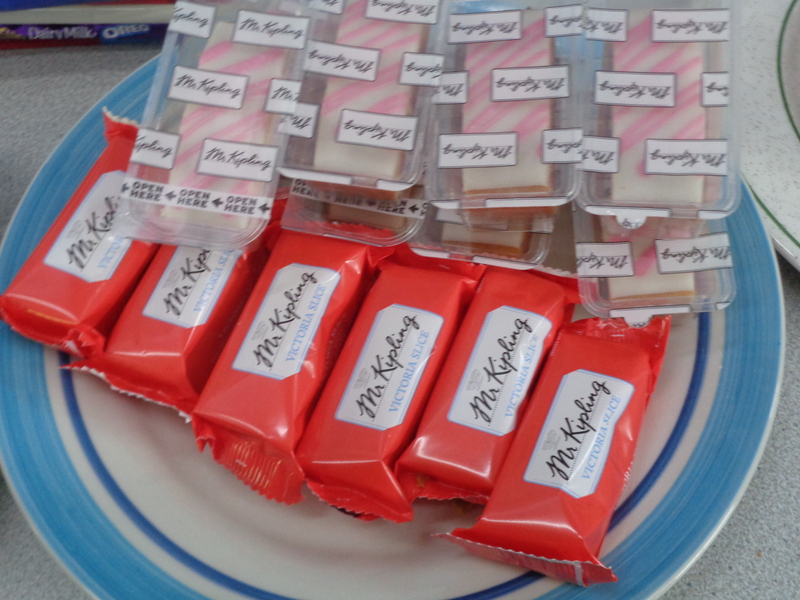 The school nurse also visited each year group to discuss the impact of bullying on a persons health, where to go for support and coping strategies – to build resilience. 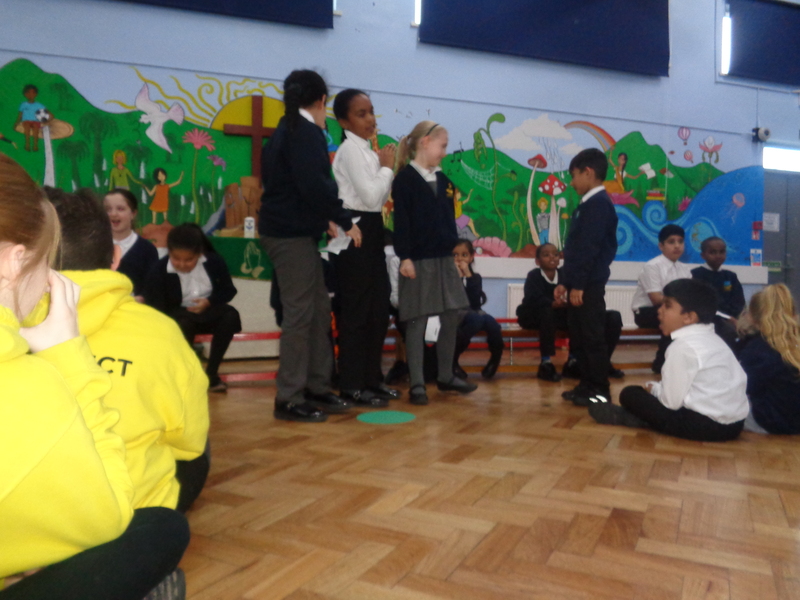 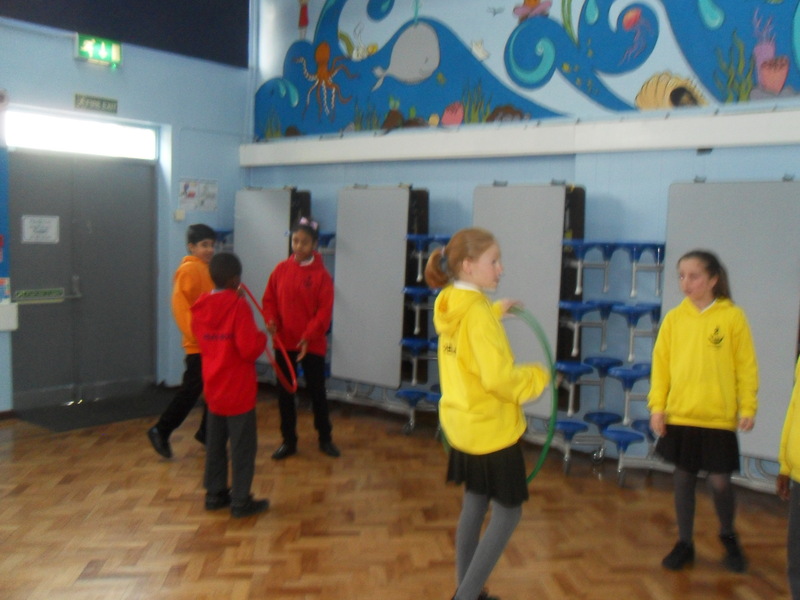 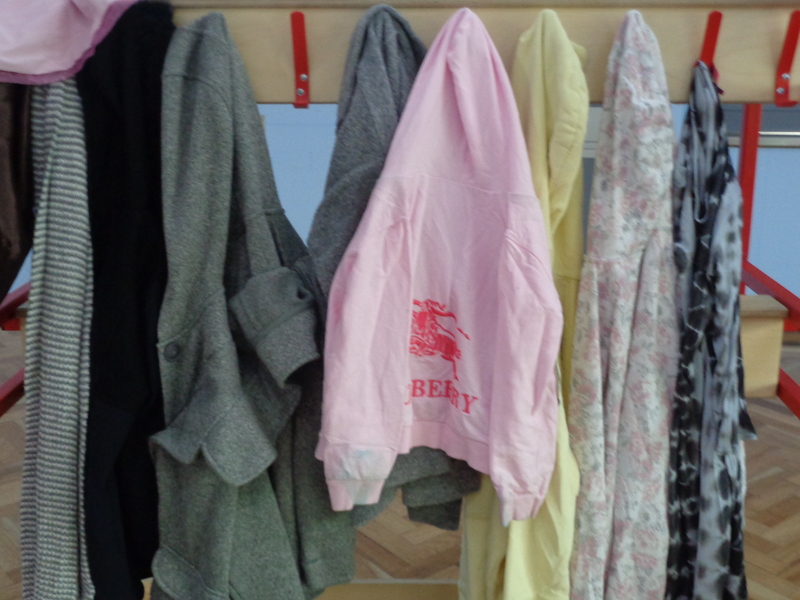 In classes, children took part in circle times and whole class discussions to deeper their understanding. The School Council took time to look over the schools ‘Anti Bullying’ Policy and give their opinions and make any changes. 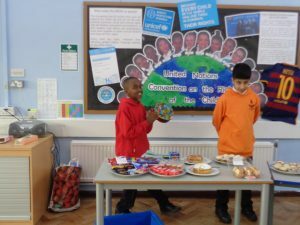 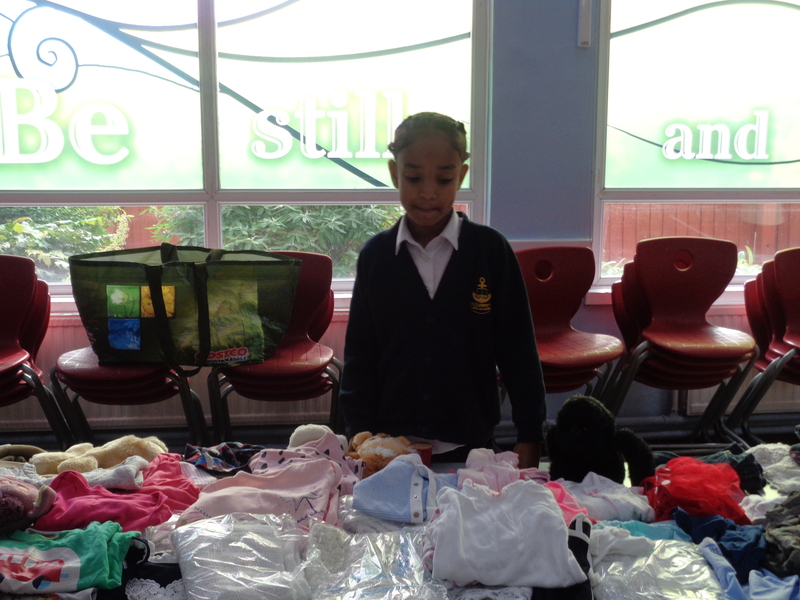 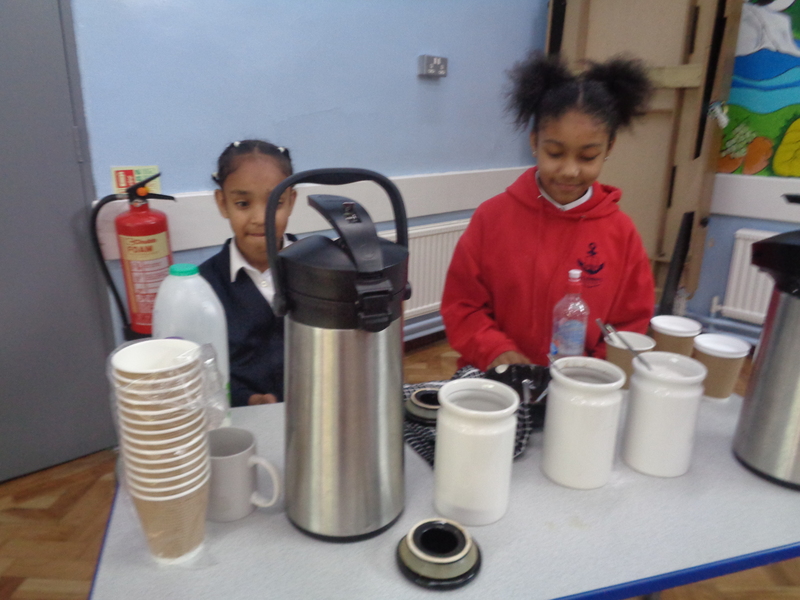 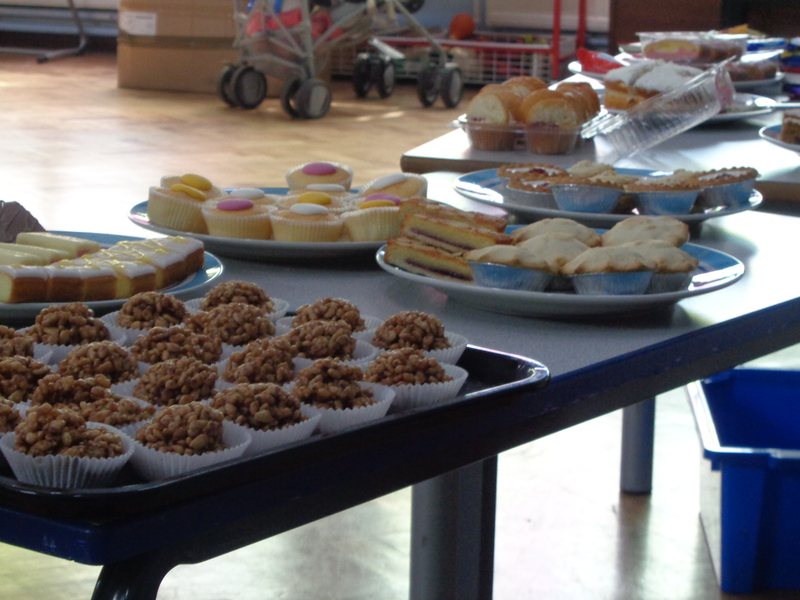 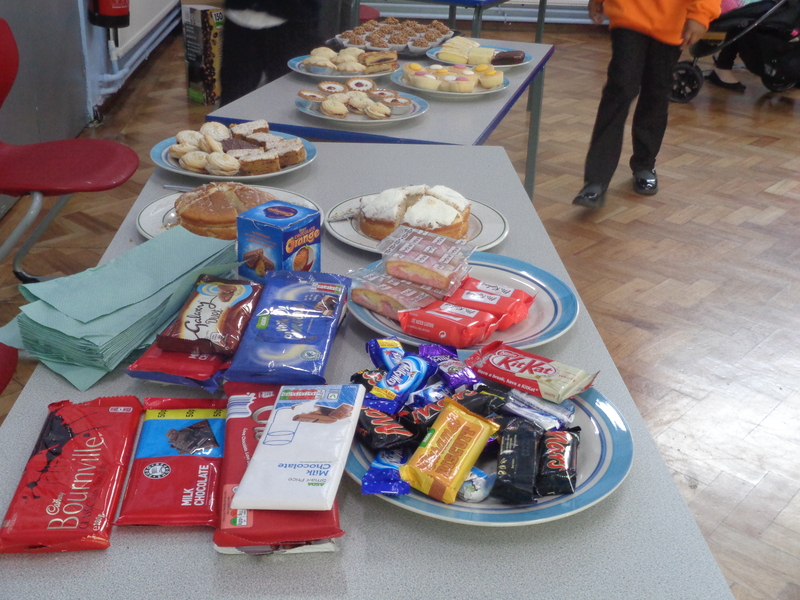 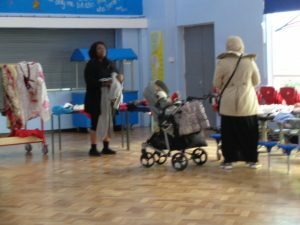 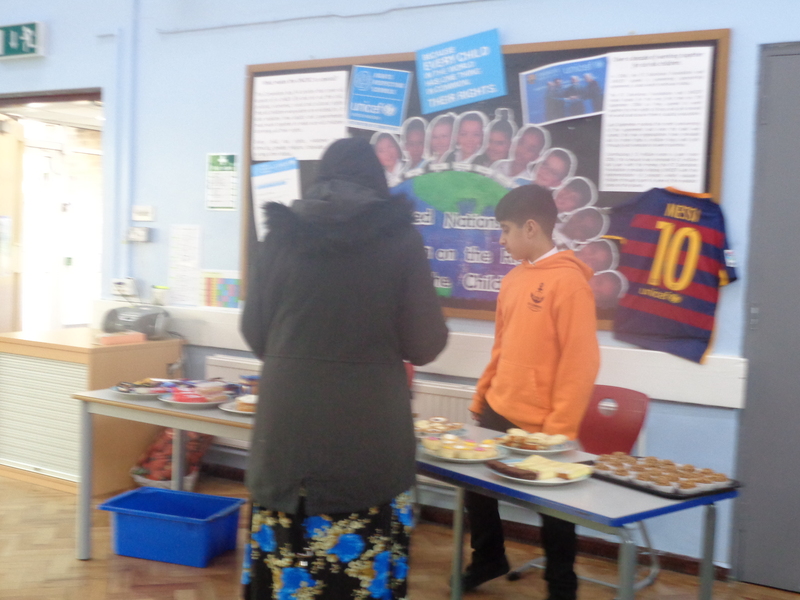 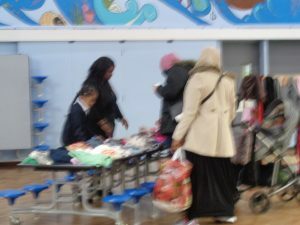 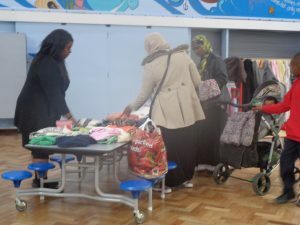 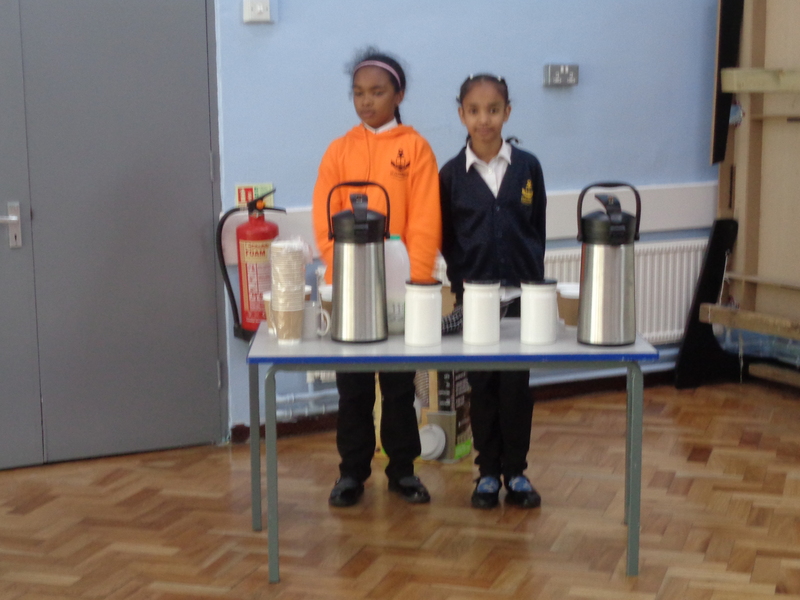 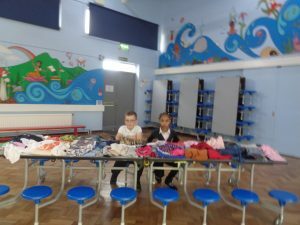 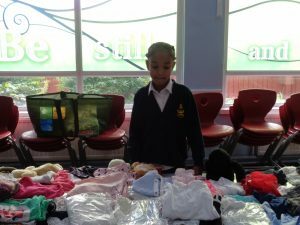 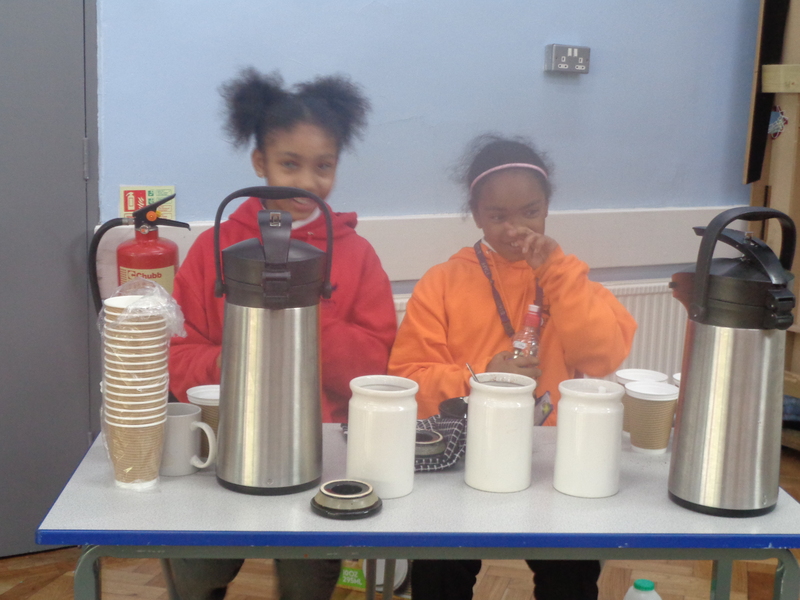 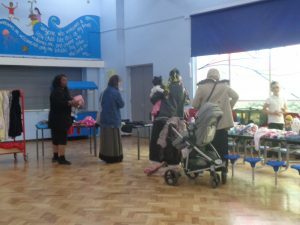 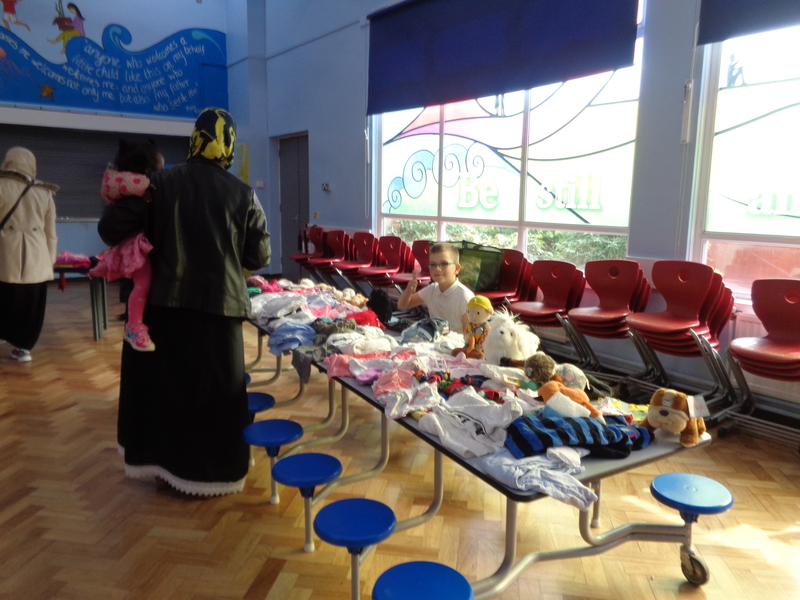 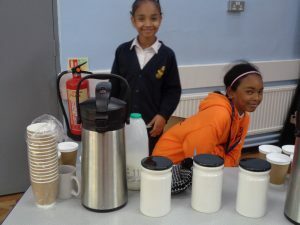 The children and parents of St Clement’s showed their support for our school coffee and table top sale for the Macmillan Cancer Charity. 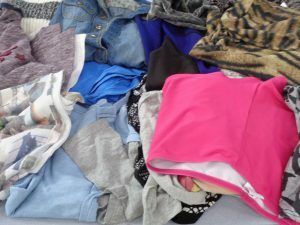 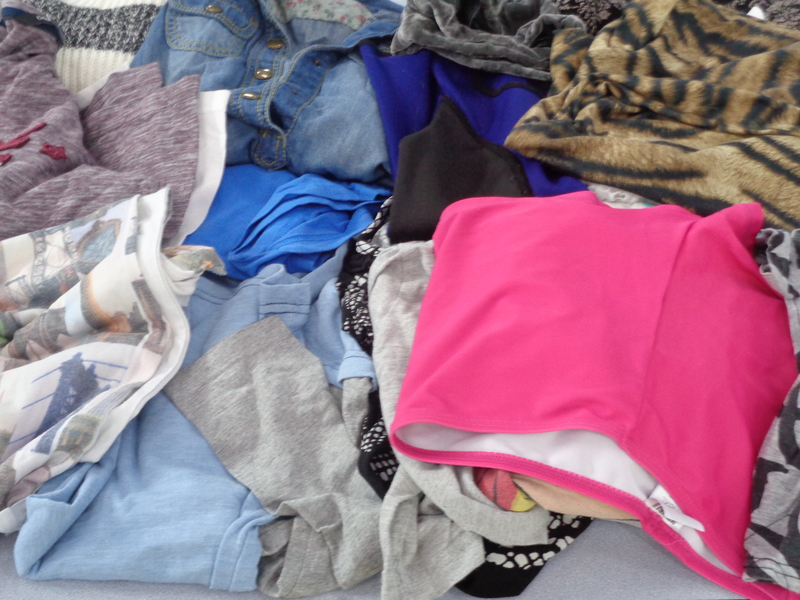 Thank you to everyone who donated and attended. 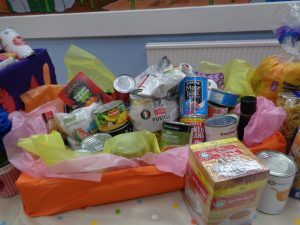 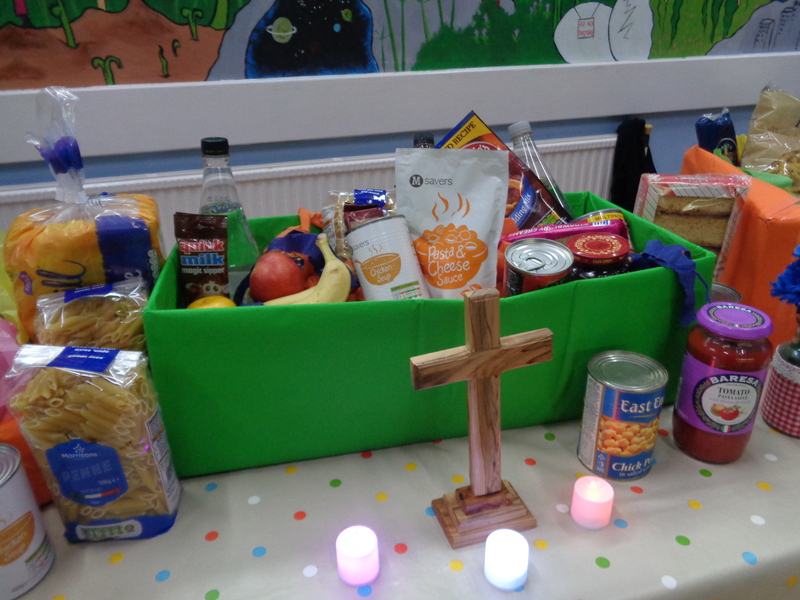 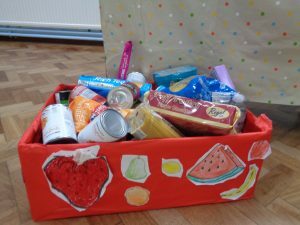 Thank you to everyone that donated to our Harvest collection. 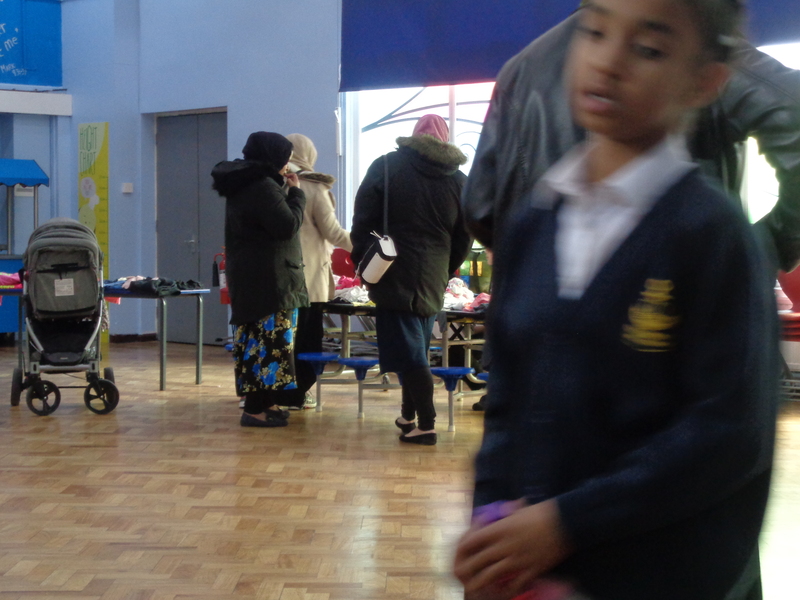 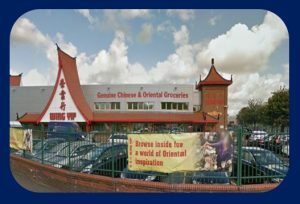 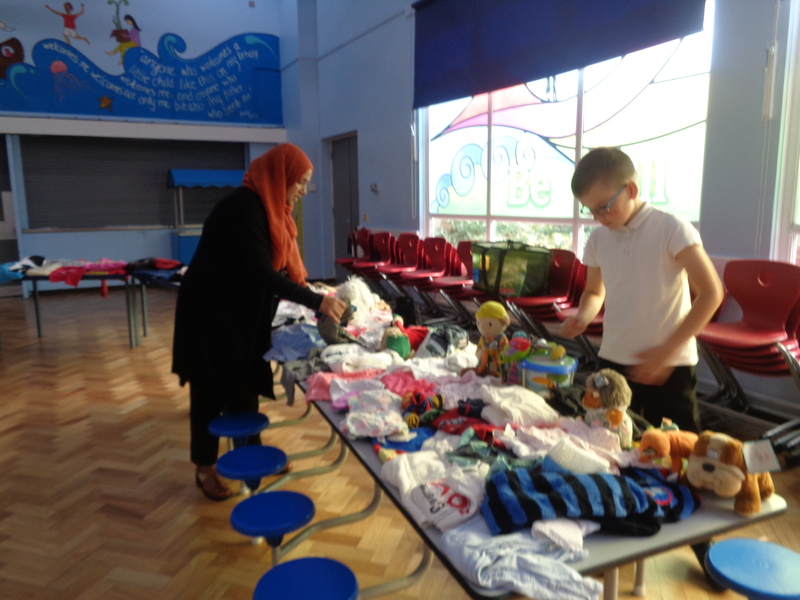 We got a good selection of items and look forward to dropping it all off at the Aston & Nechells Foodbank. 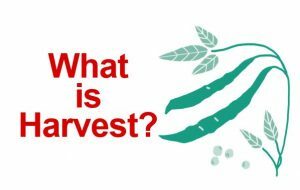 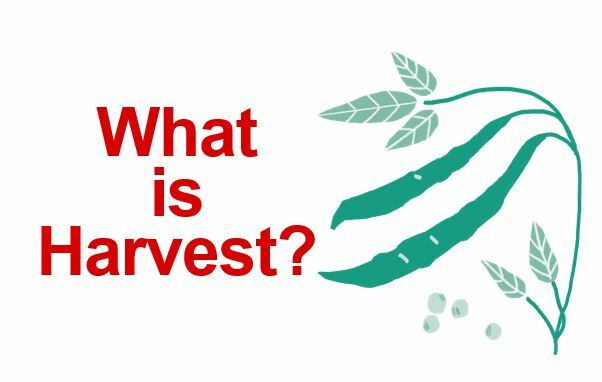 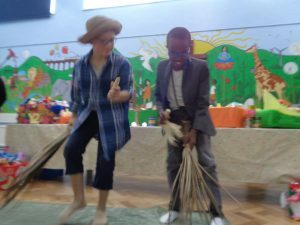 This afternoon we celebrated Harvest in assembly and assembly started with an explanation about what Harvest is and when it is celebrated. 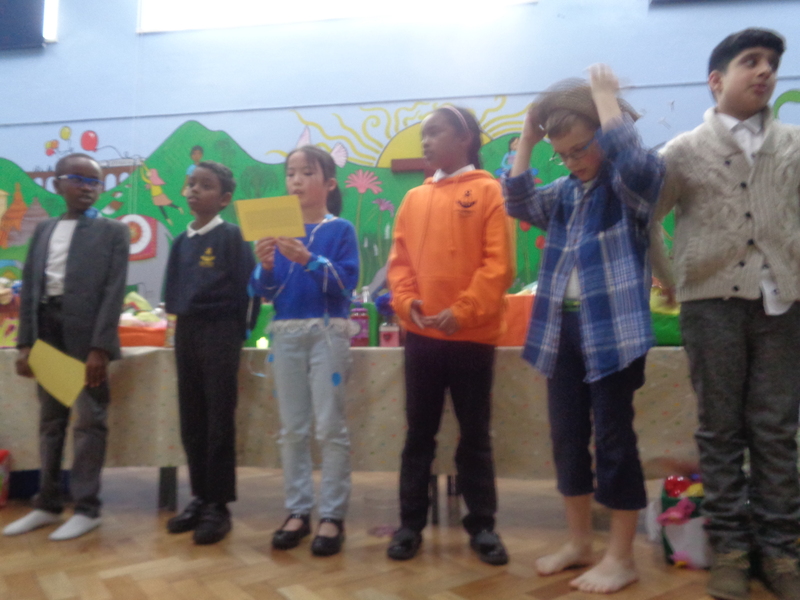 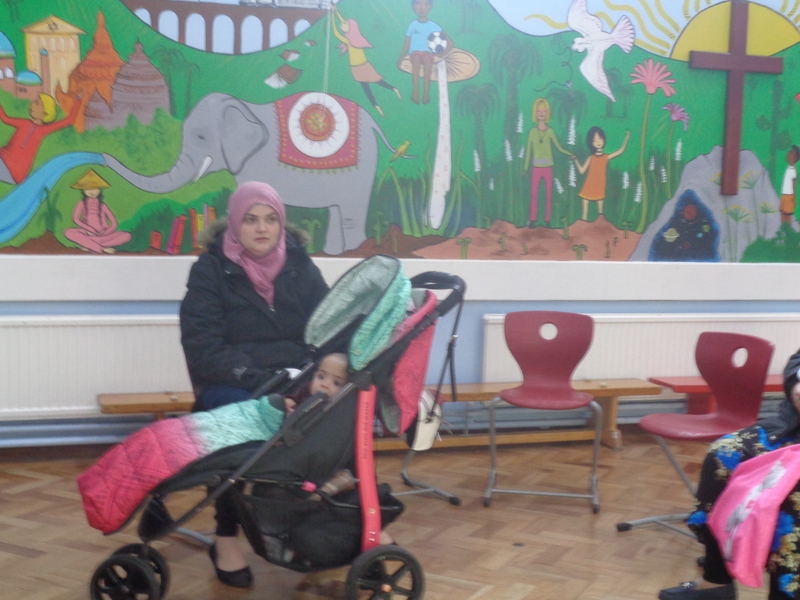 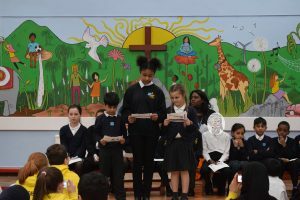 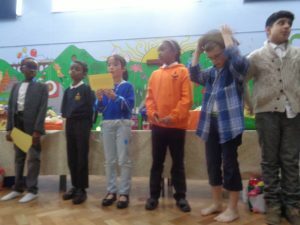 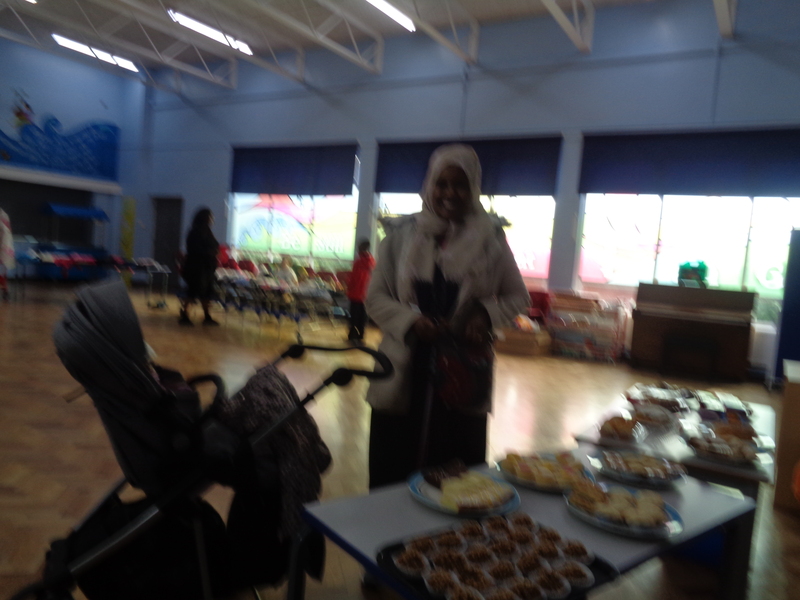 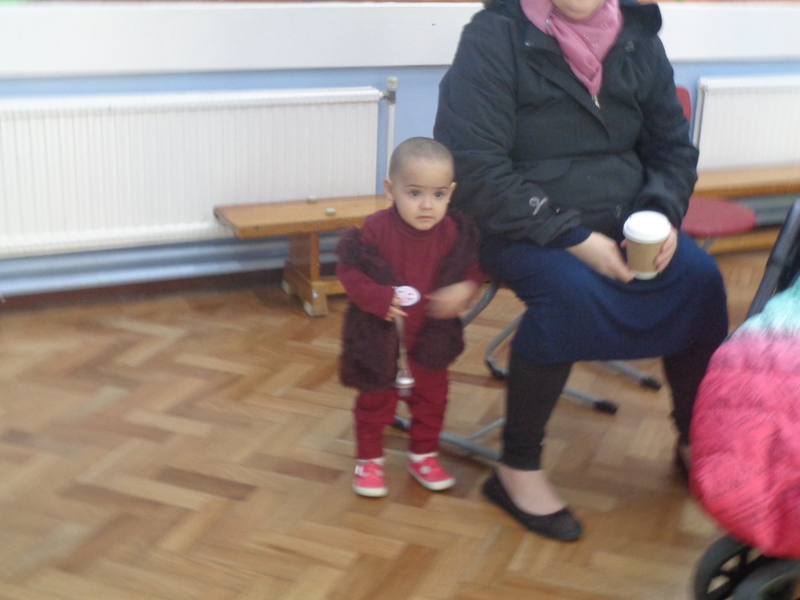 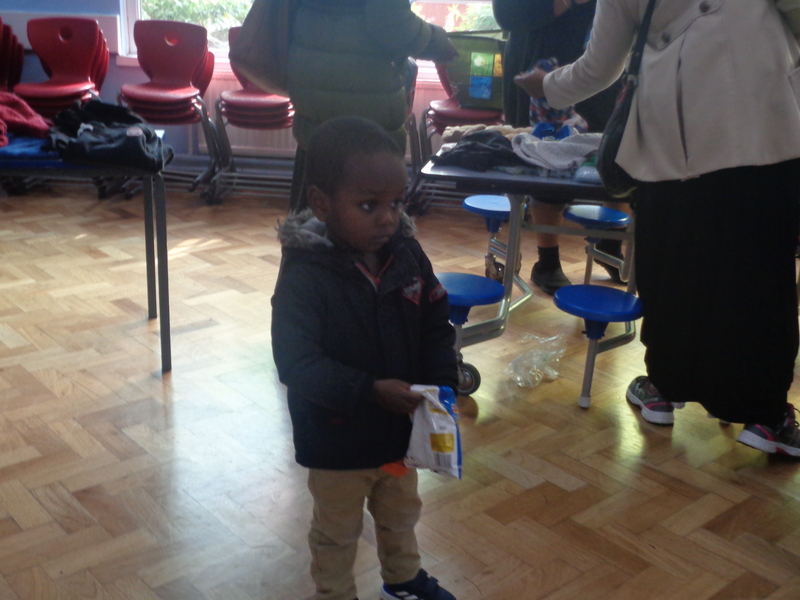 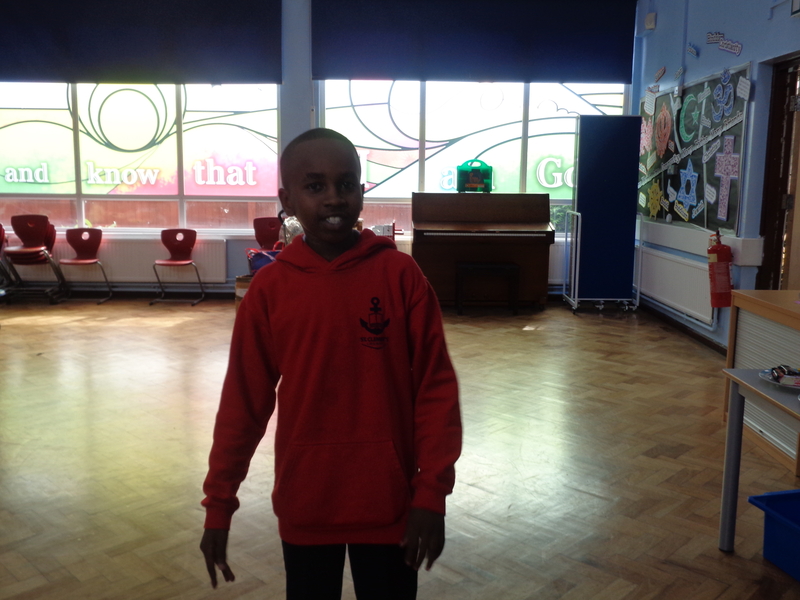 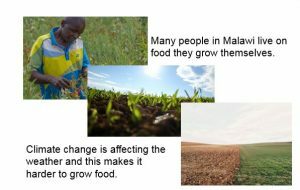 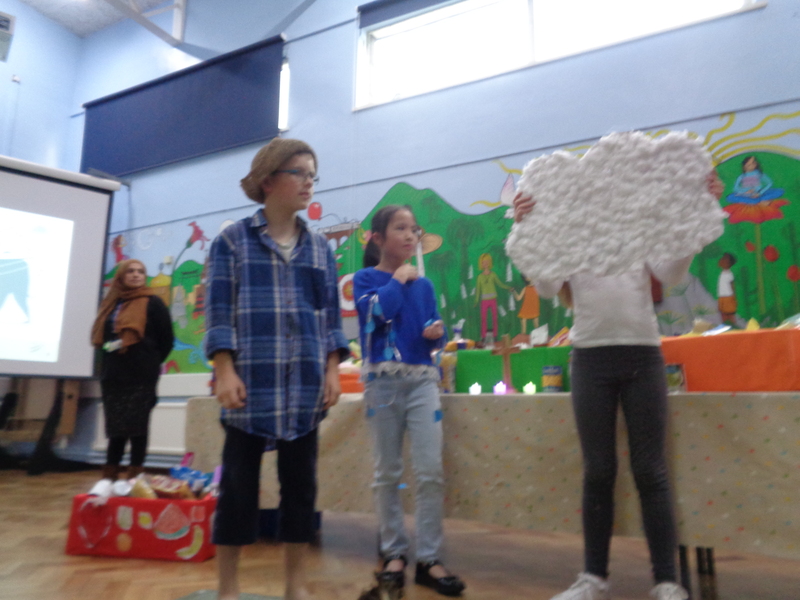 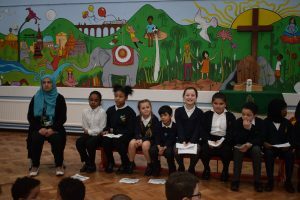 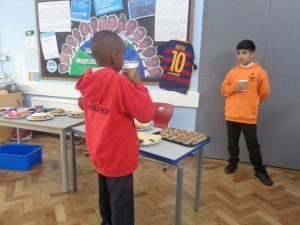 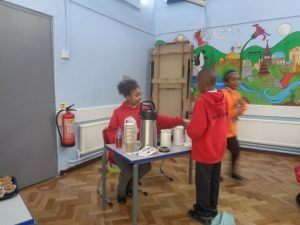 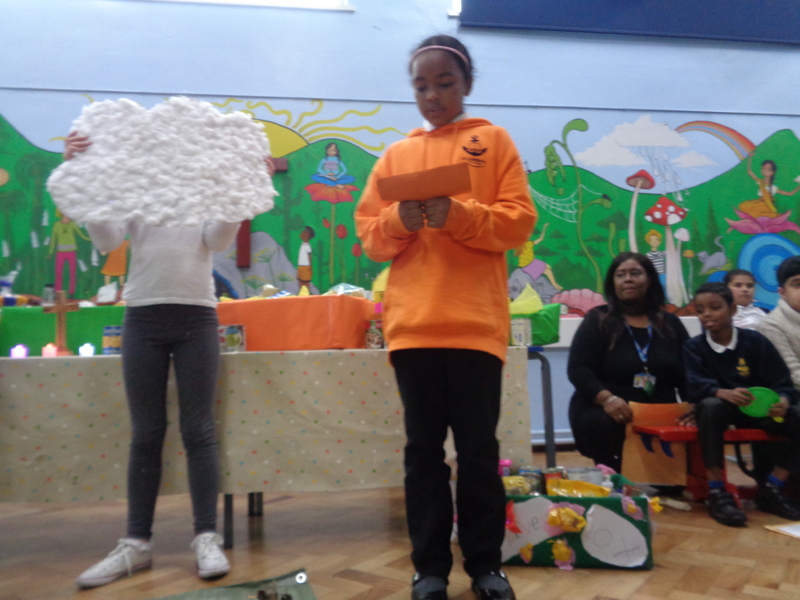 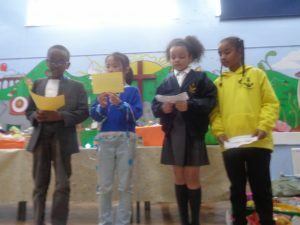 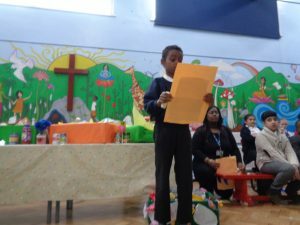 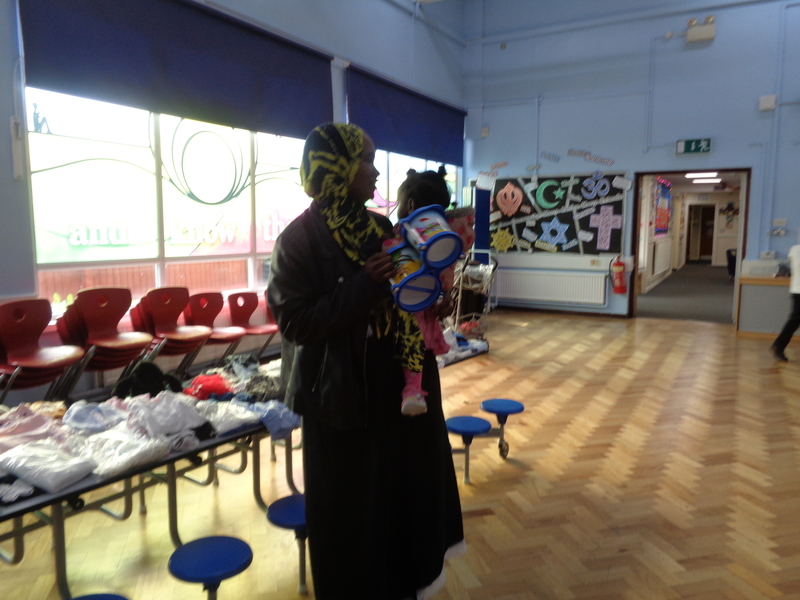 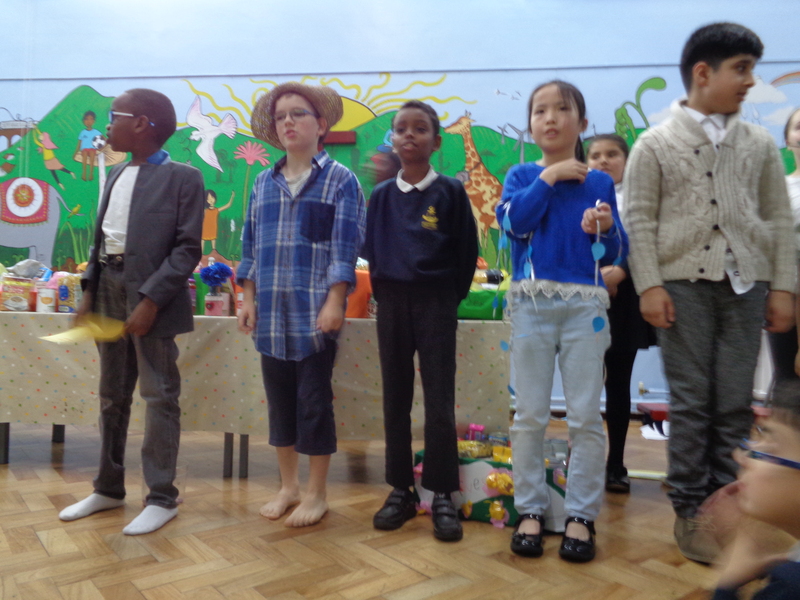 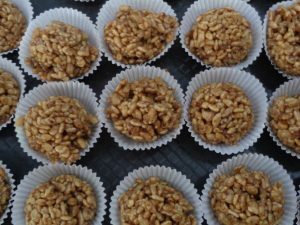 We were then treated to a short performance from the school councillors telling a story about a man who couldn’t grow crops because of an ogre sending a hot sun and lots of rain to the chant of…. Everyone seemed to enjoy the assembly and singing along to the song, putting their hands up to answer questions and contributing when asked. 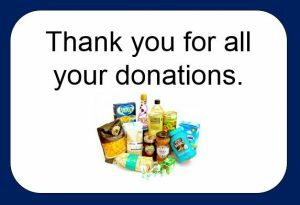 All the best for the weekend and Thank You all again for your generous donations. 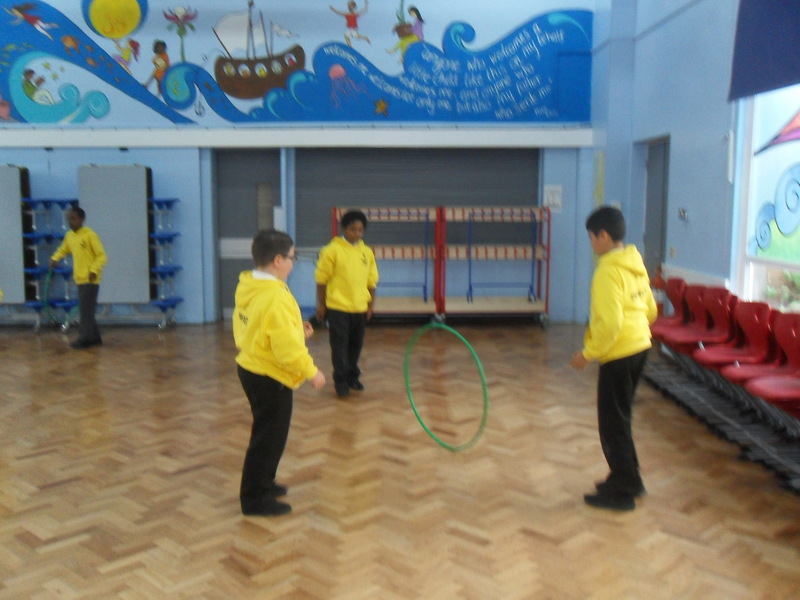 This years school prefects working hard in training. Introducing the St. Clement’s School Council and UNICEF Committee 2017 – 2018. 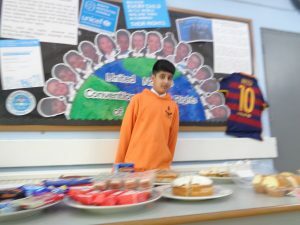 Look out for all the fabulous things they will be doing, share your ideas with them and take note of the ‘UNICEF Children’s Rights’ they will be promoting. 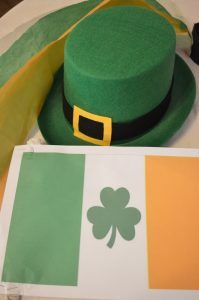 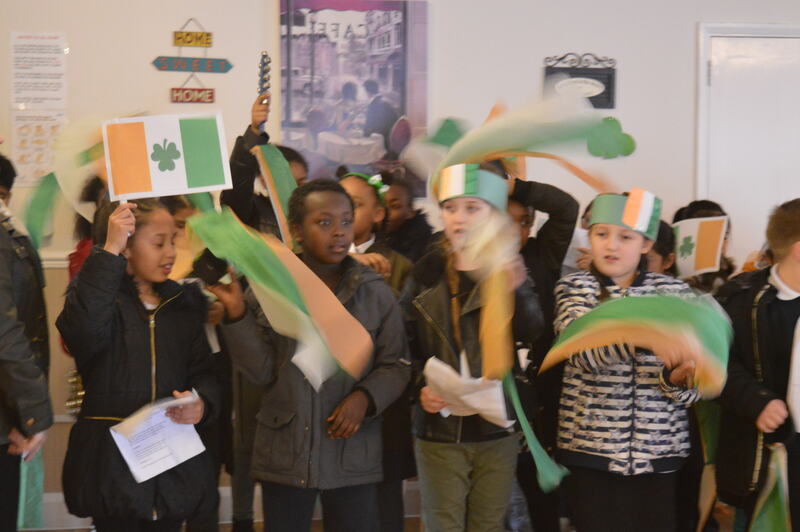 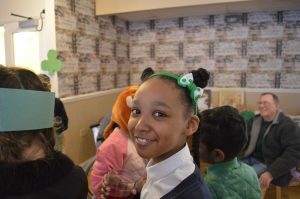 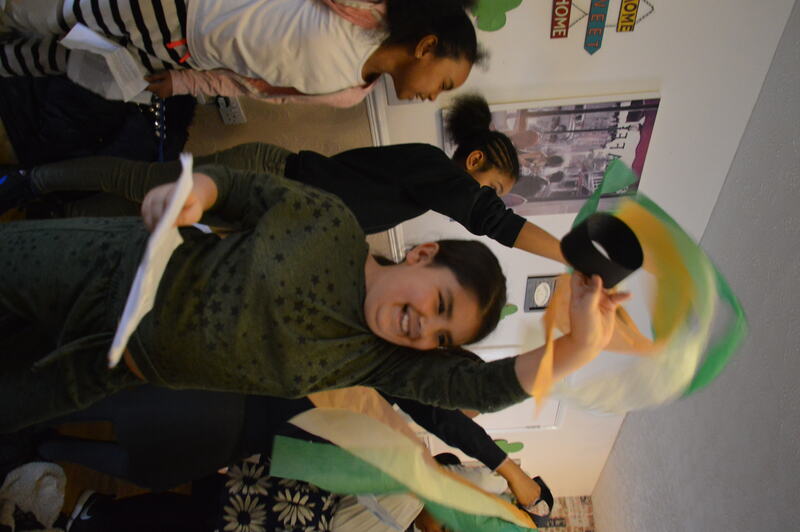 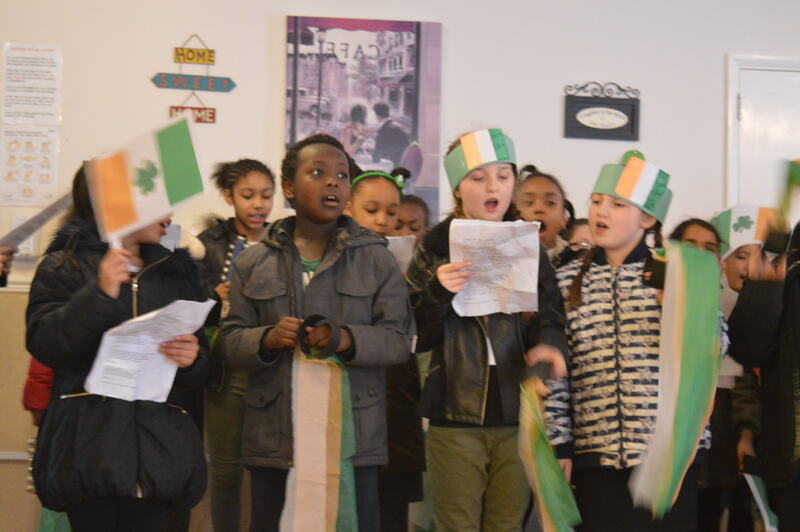 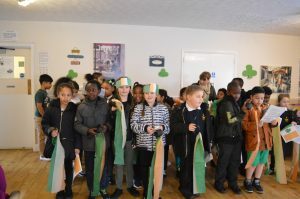 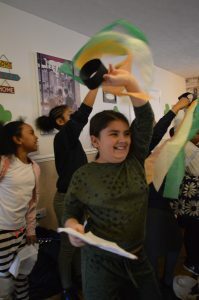 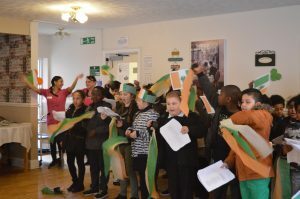 The children celebrated St Patrick’s Day in style. 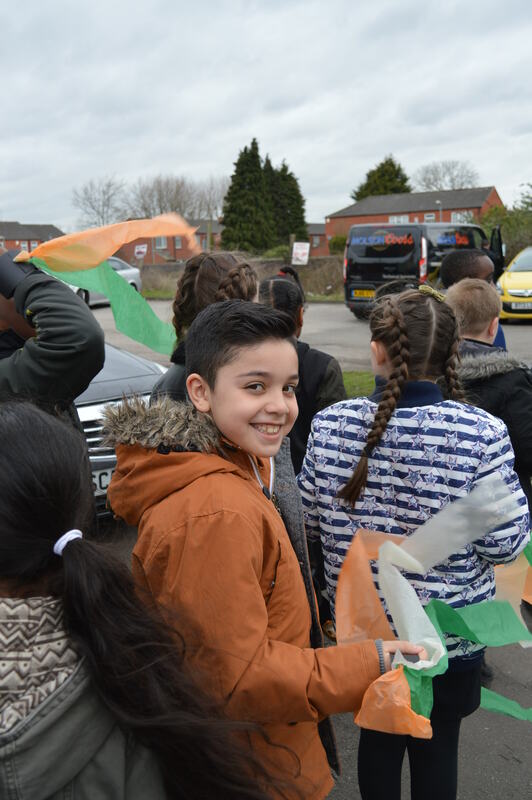 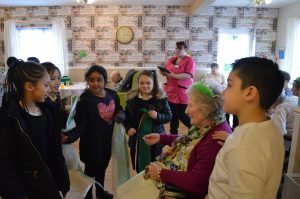 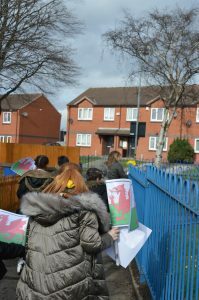 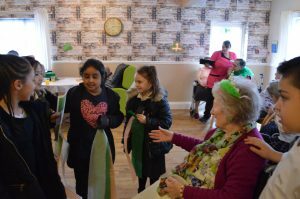 With their flags waving high and wearing green, white and gold, the children attended St Clement’s Nursing Hospice on 17.3.17. 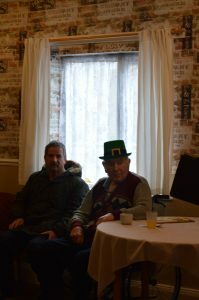 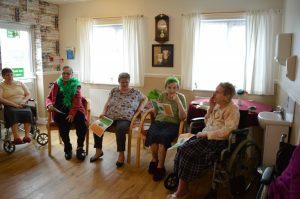 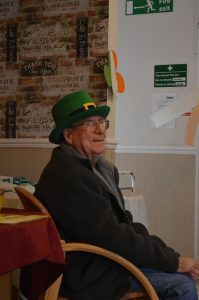 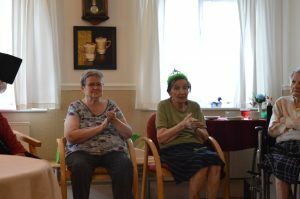 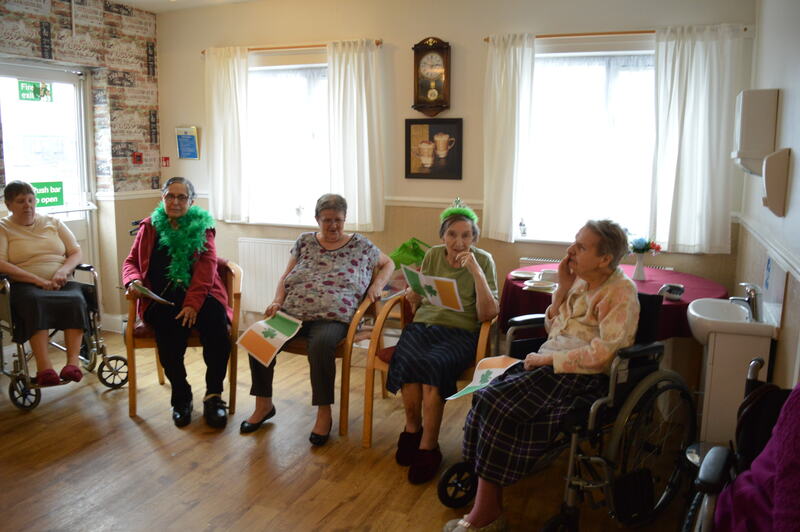 They sang a range of Irish classics for the residents, who joined in and clapped along. 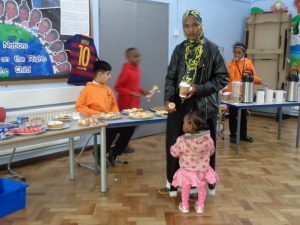 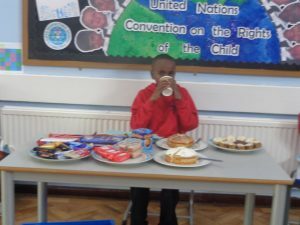 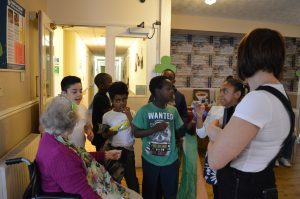 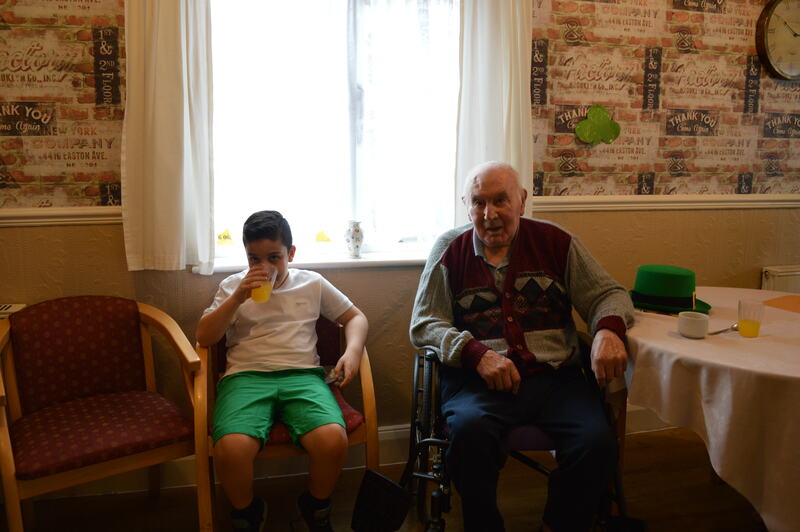 The children then spent the afternoon playing party games and enjoying refreshments with residents and other members of the community. 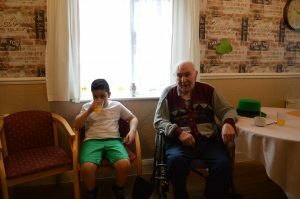 The day was enjoyed by all! 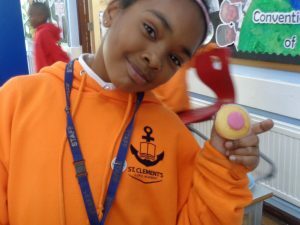 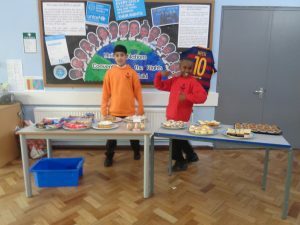 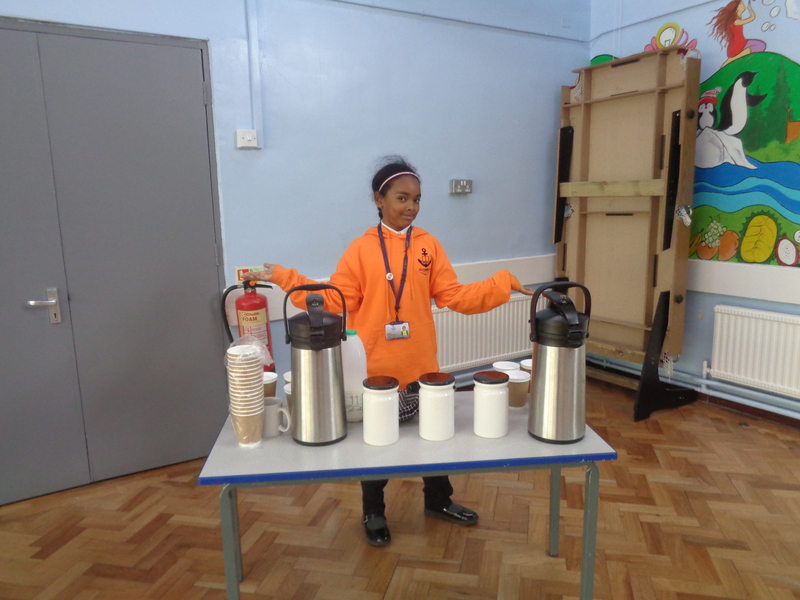 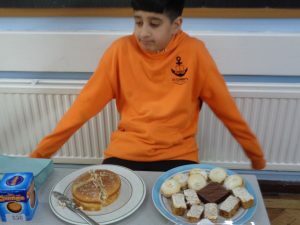 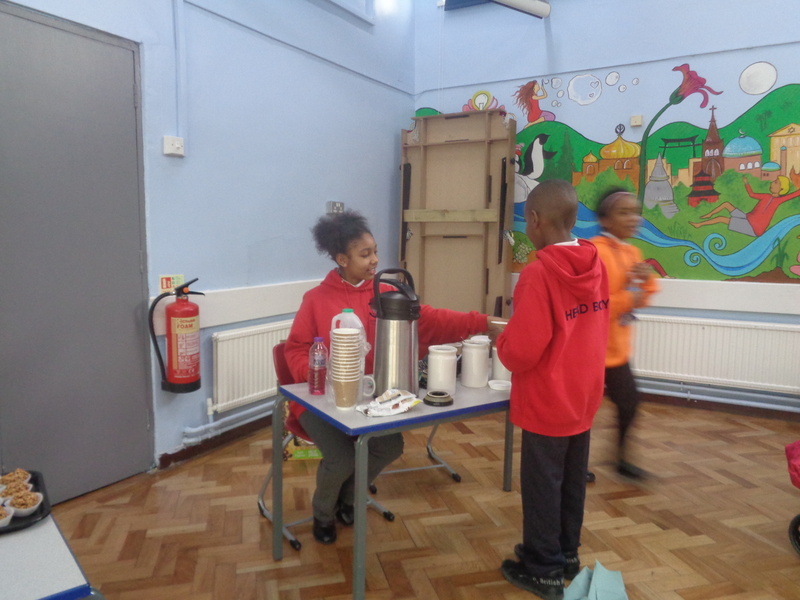 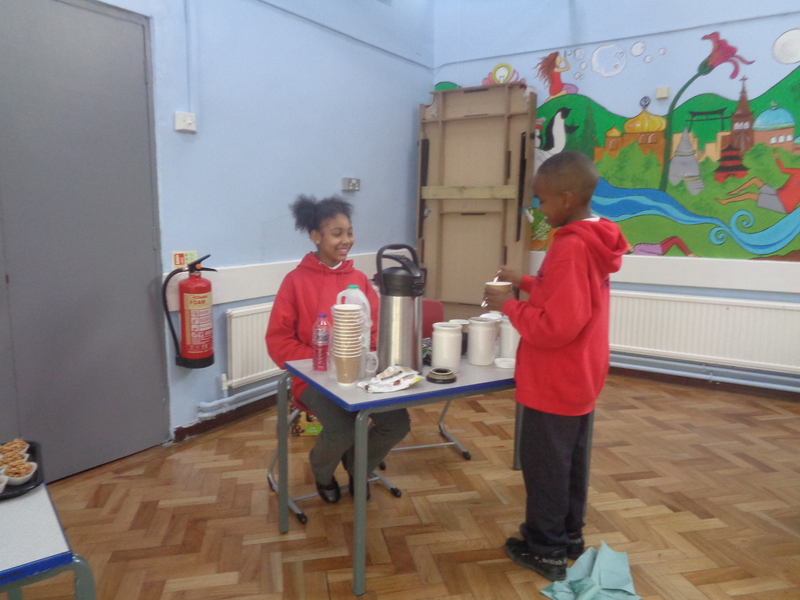 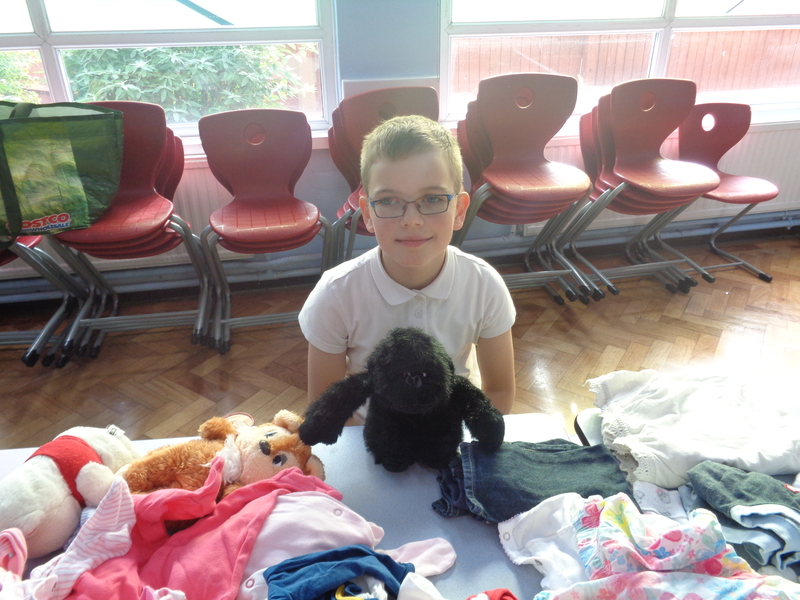 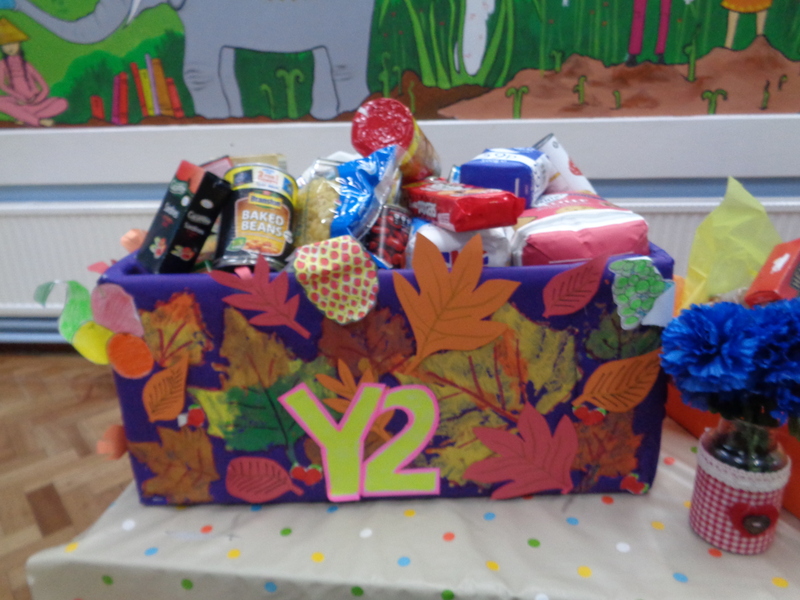 Keep an eye out for more community activities from children at St Clement’s. 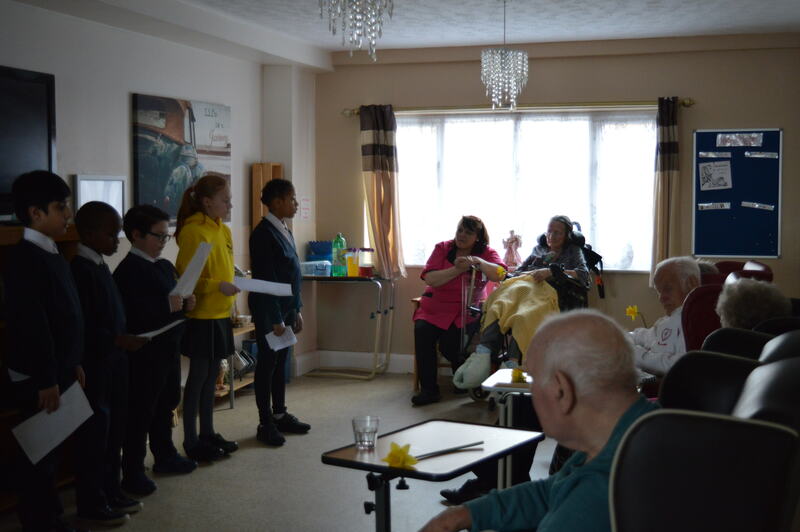 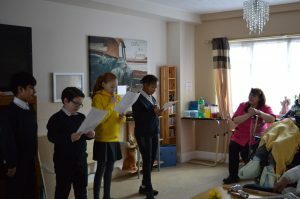 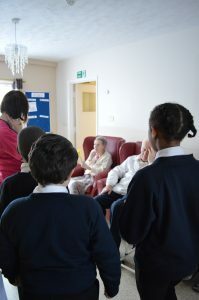 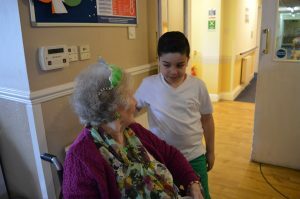 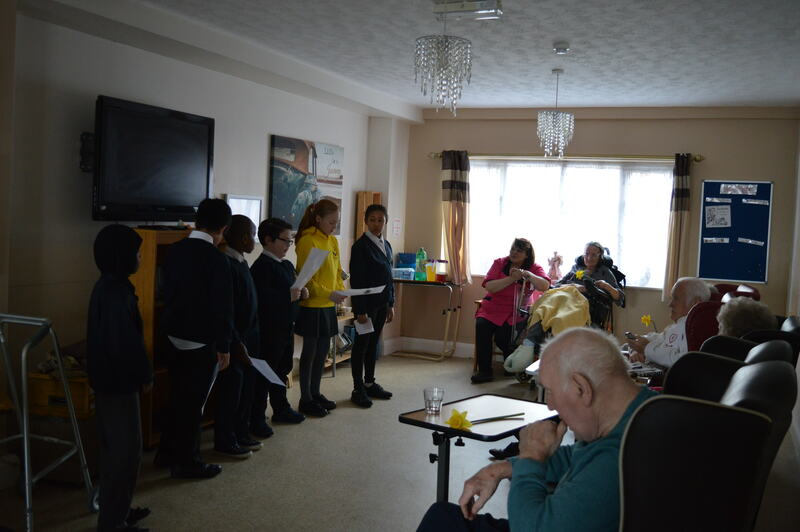 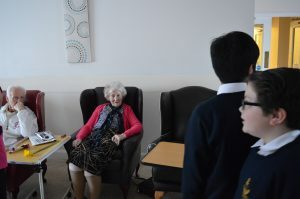 This week, as part of St Clement’s in the community, the children visited St Clement’s Nursing Hospice. 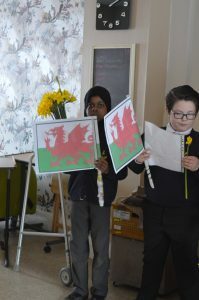 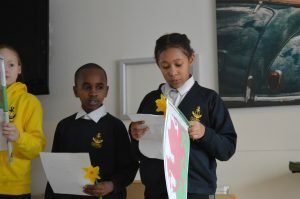 They presented work in celebration of St David’s Day. 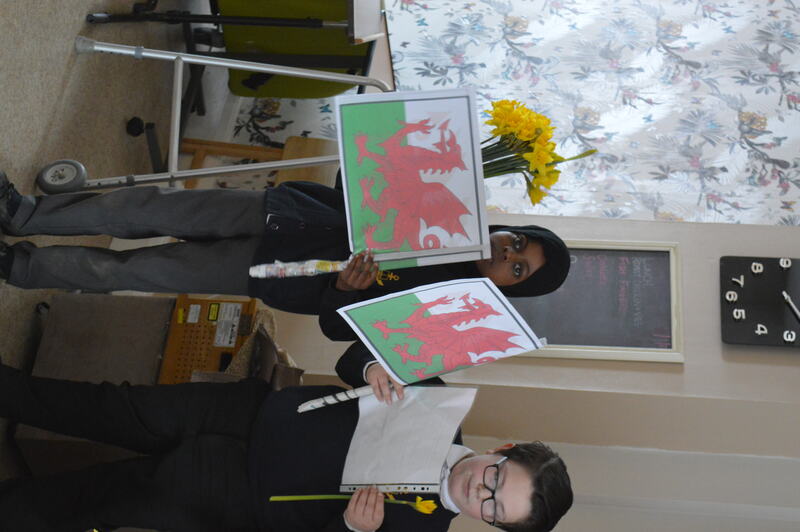 The residents enjoyed listening to and looking at the children’s work and sharing their own facts and traditions on this welsh patriotic day. 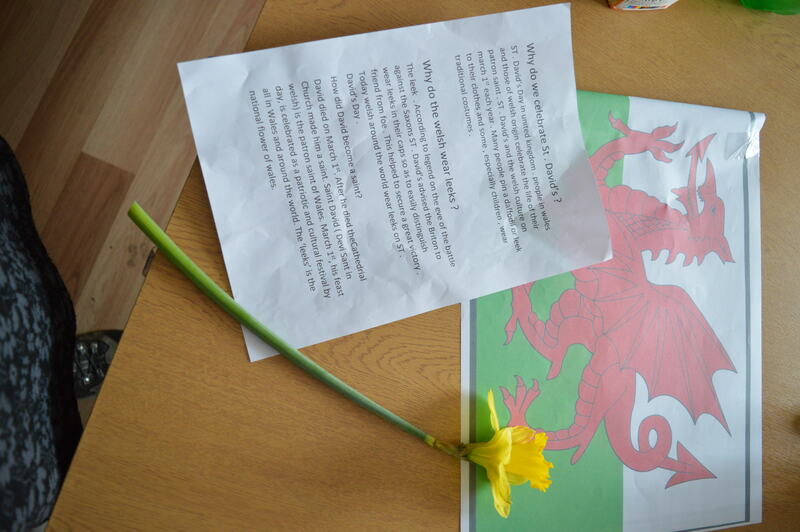 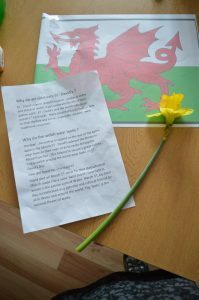 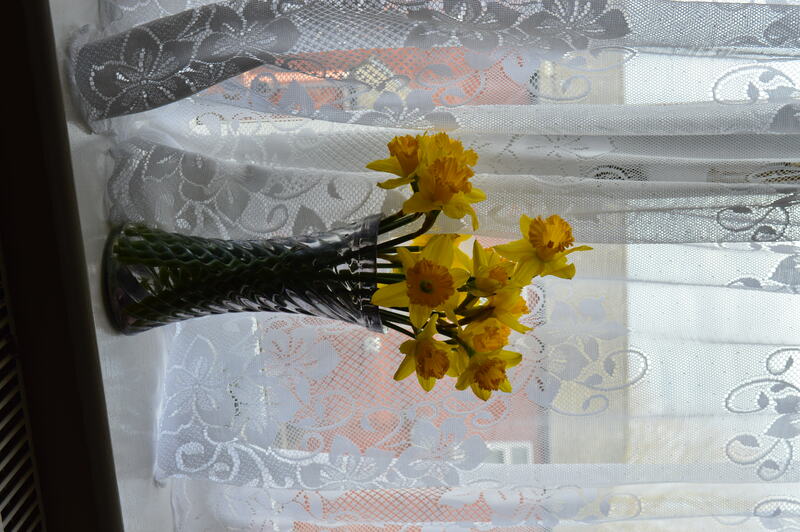 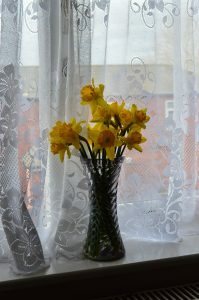 The children gave Daffodils to the residents and staff and Tyler shared his fabulous knowledge of welsh culture and history, which was enjoyed by all. 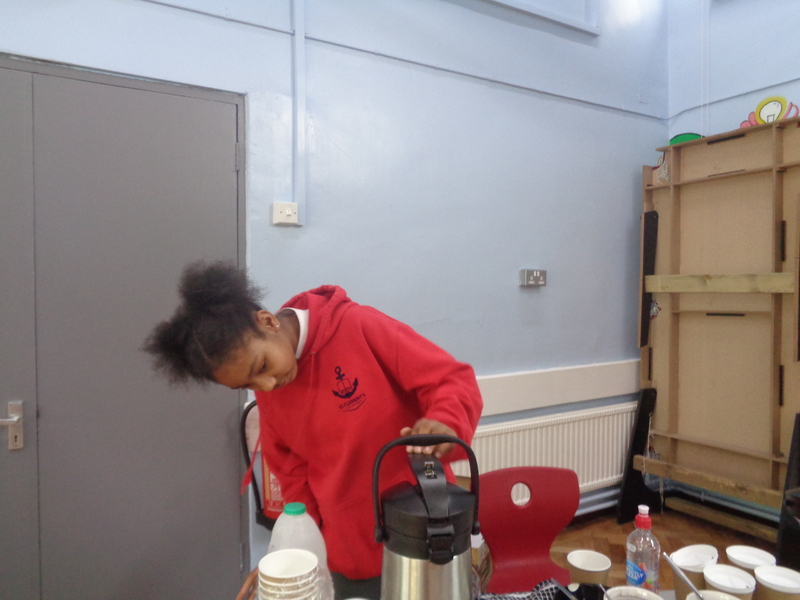 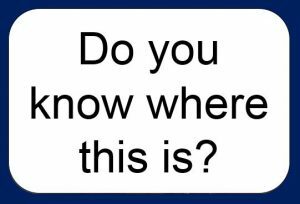 Keep a look out for more St Clement’s in the community work. 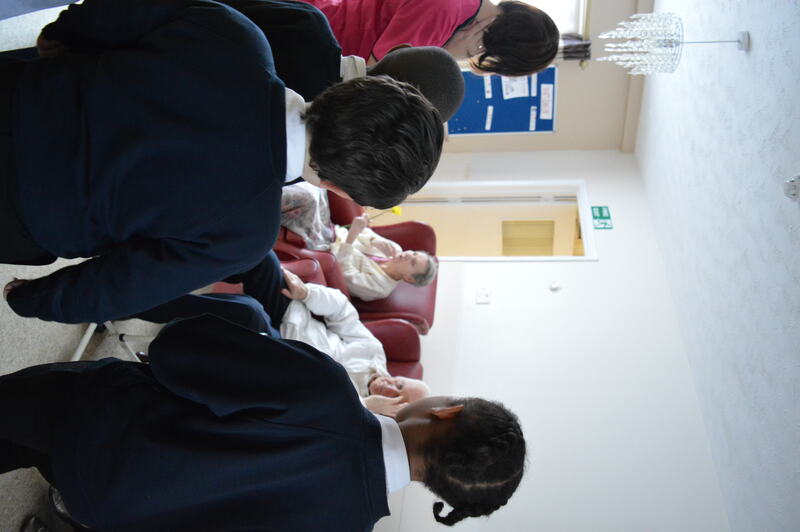 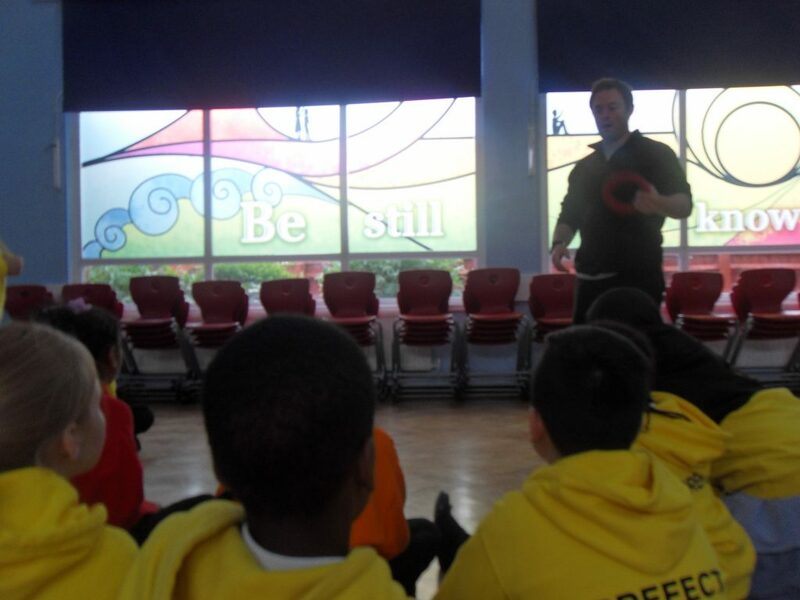 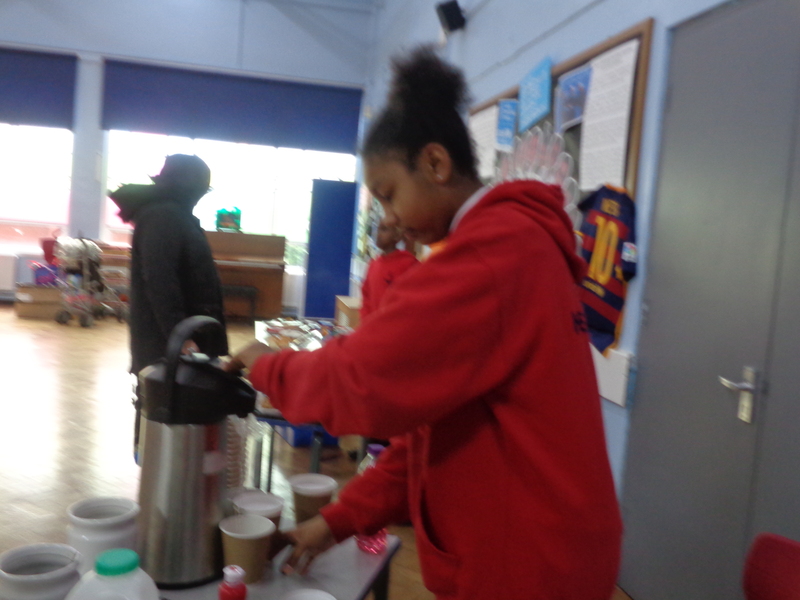 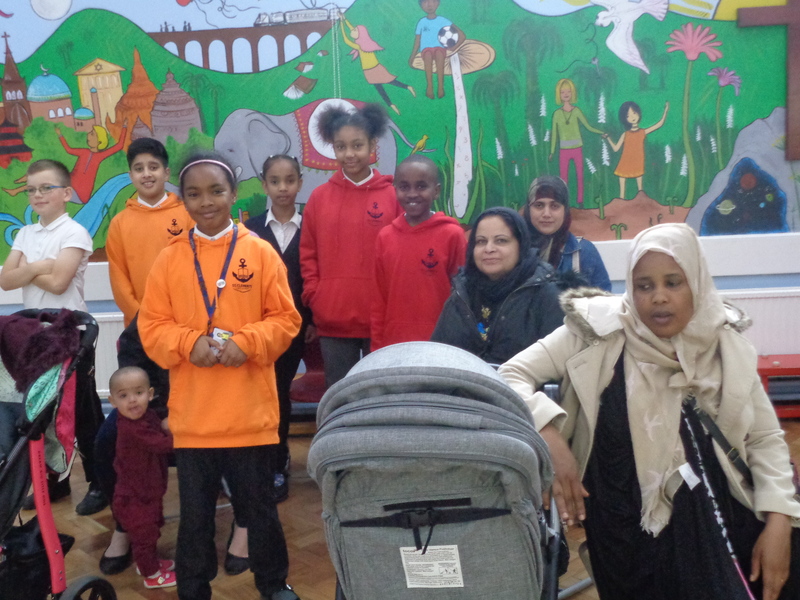 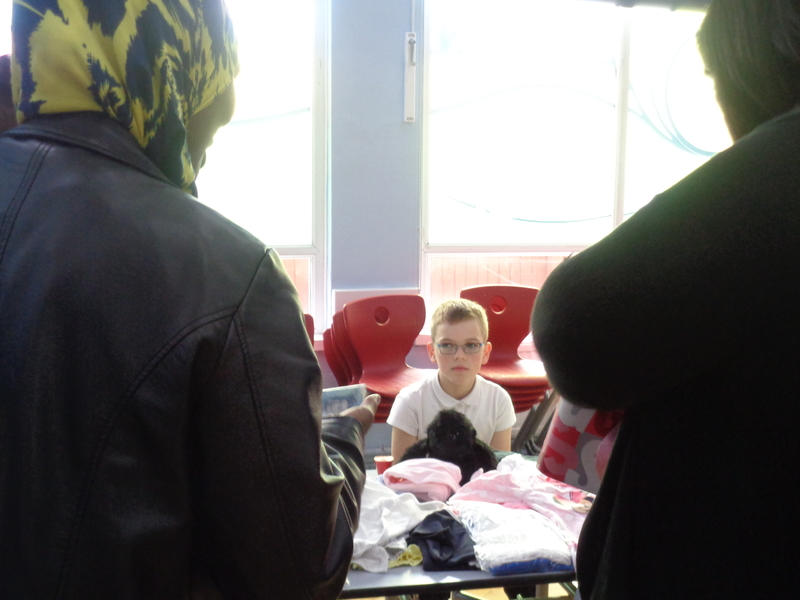 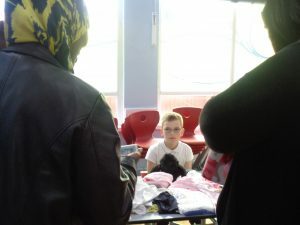 This week the children visited James Memorial Homes, as part of their continued community work. 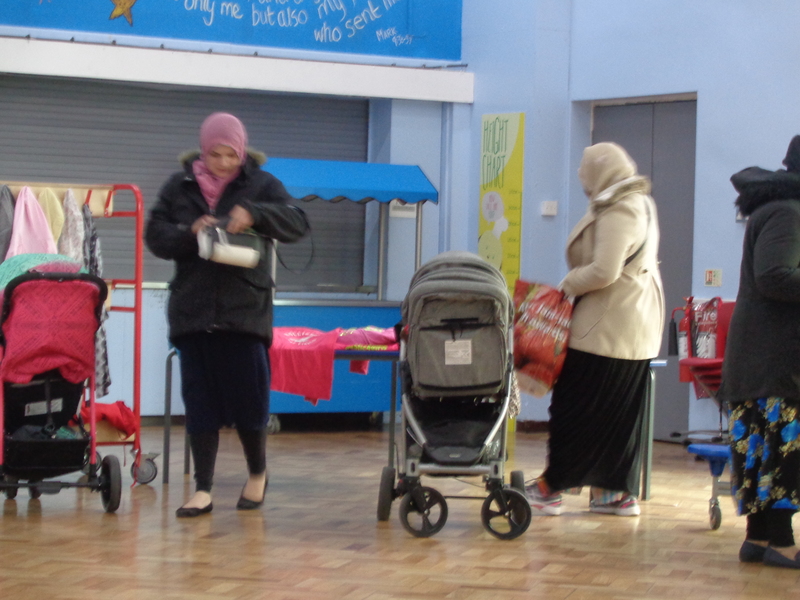 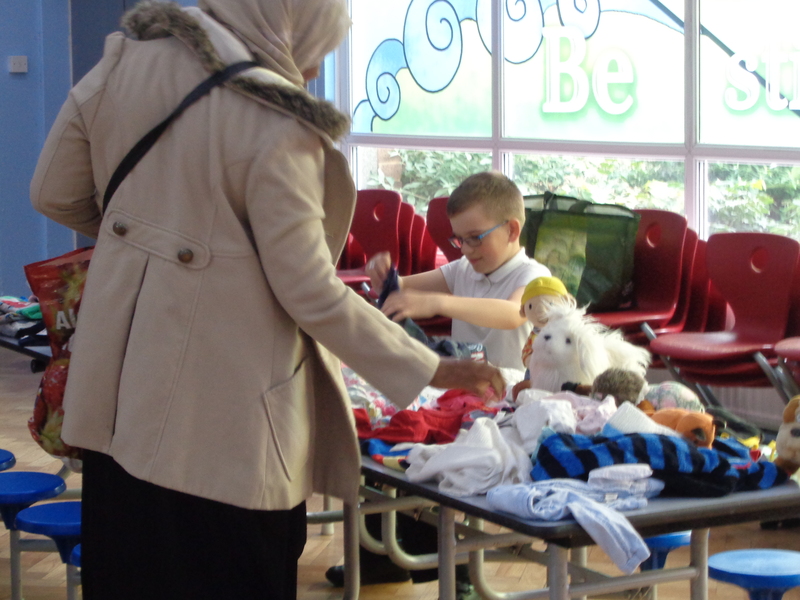 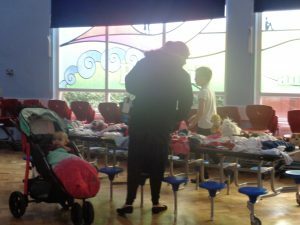 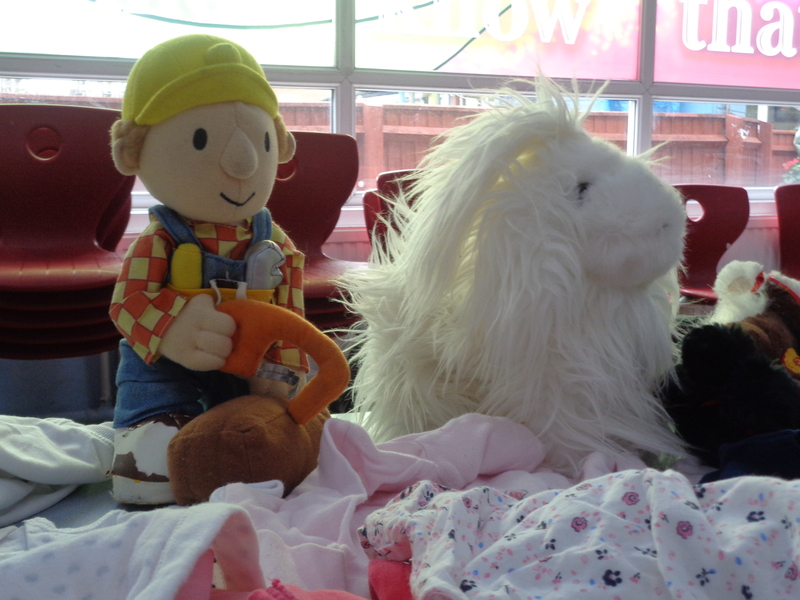 The children had a lovely time talking with local residents and helping staff collect donations. 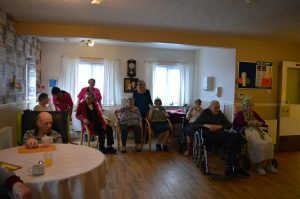 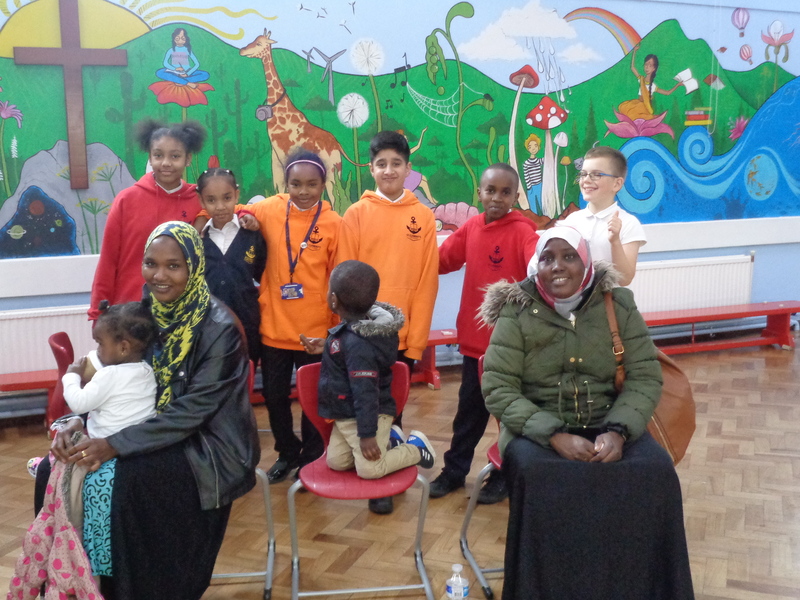 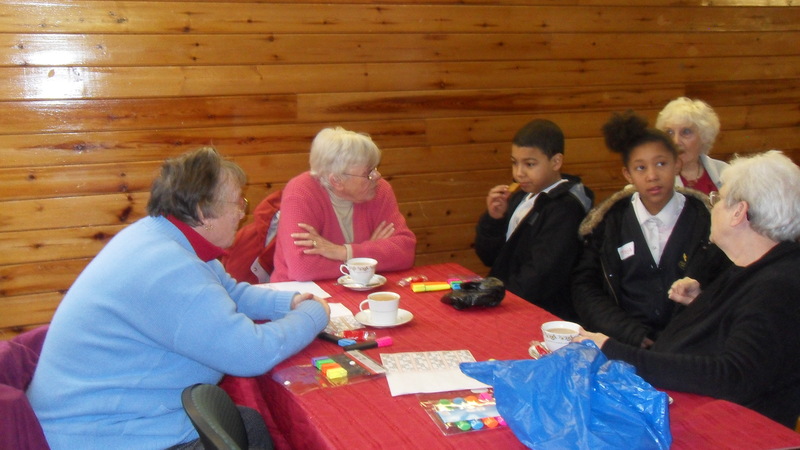 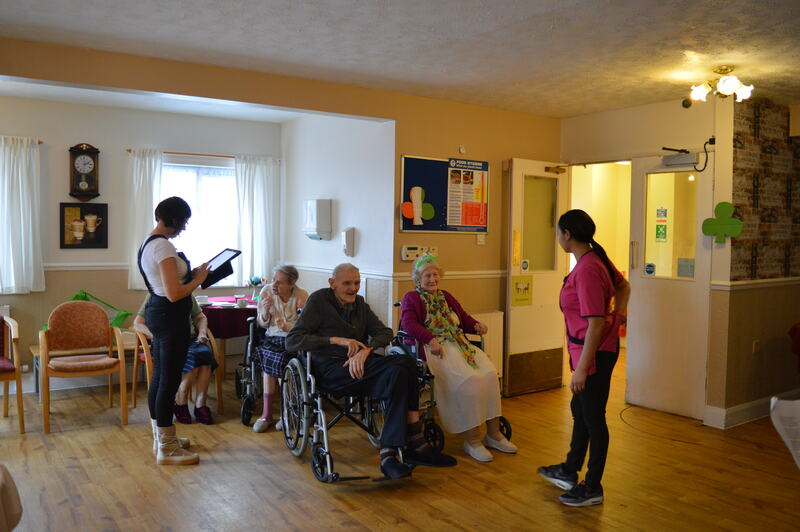 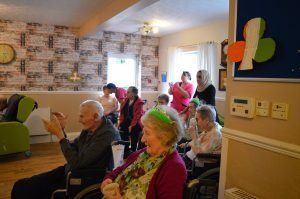 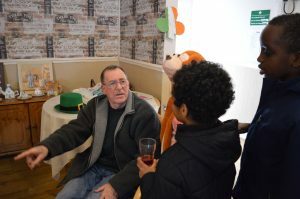 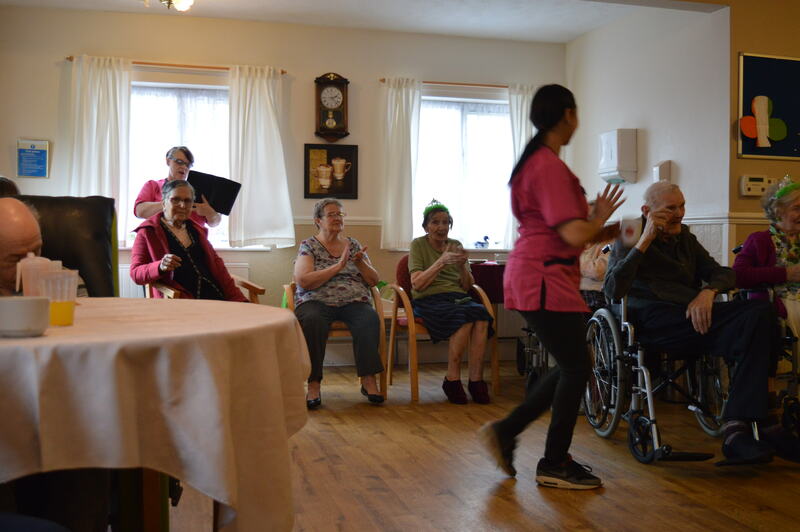 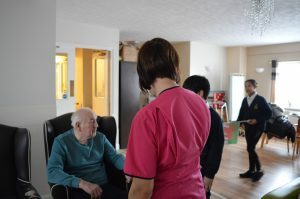 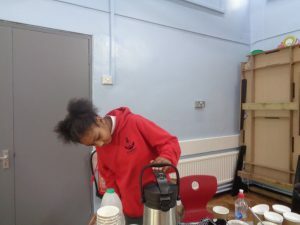 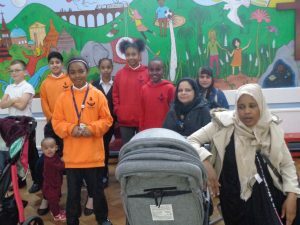 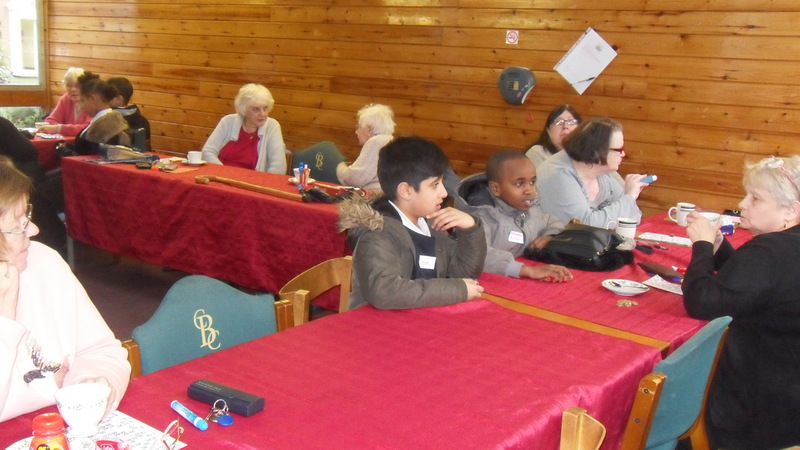 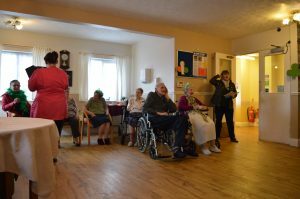 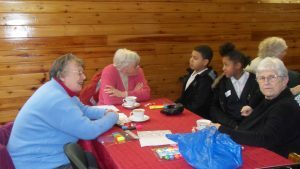 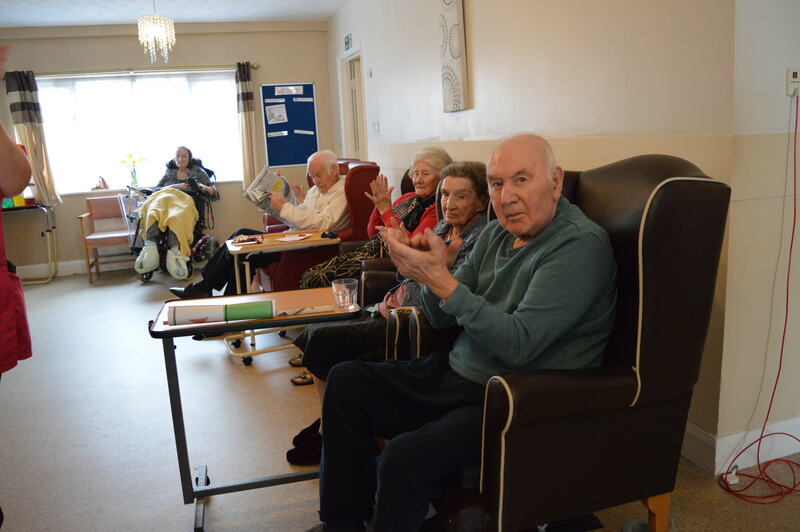 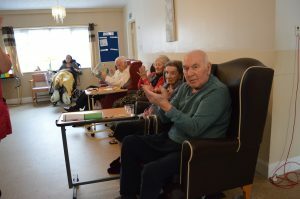 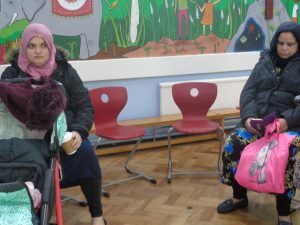 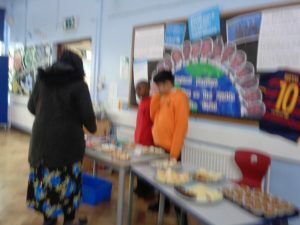 They enjoyed talking about what they hoped to be in the future and the residents were there to offer advise on the importance of hard work and education.